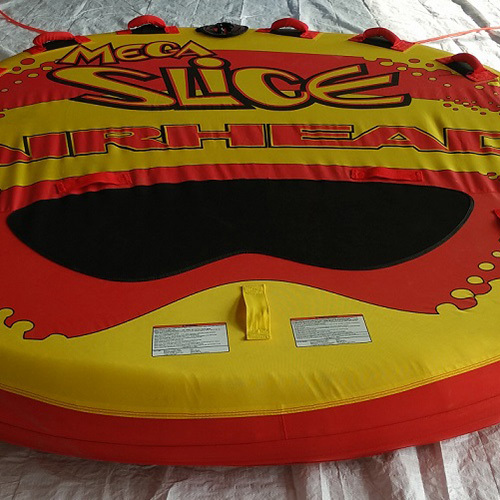 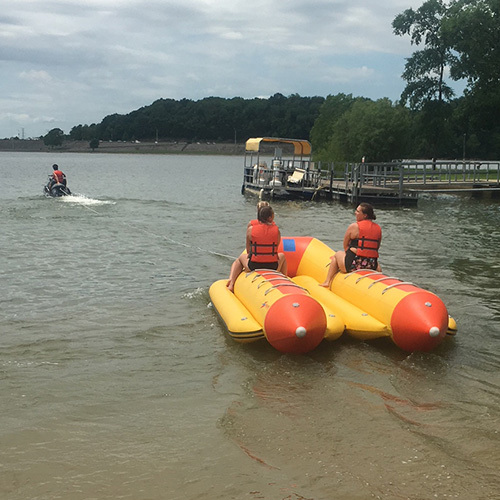 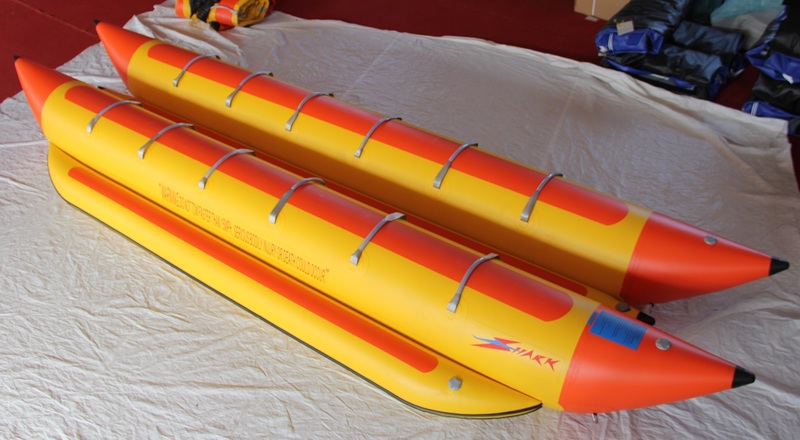 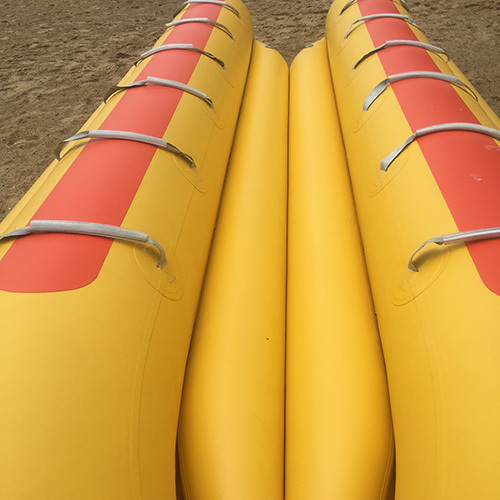 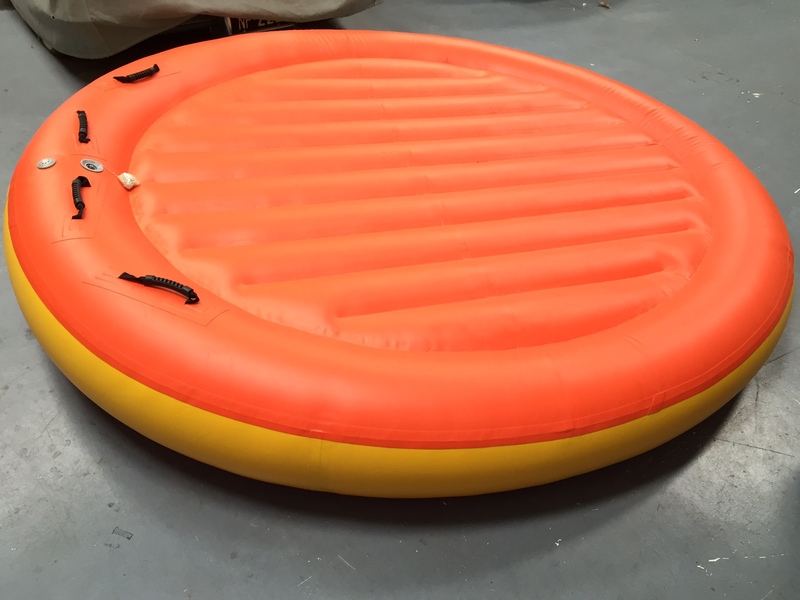 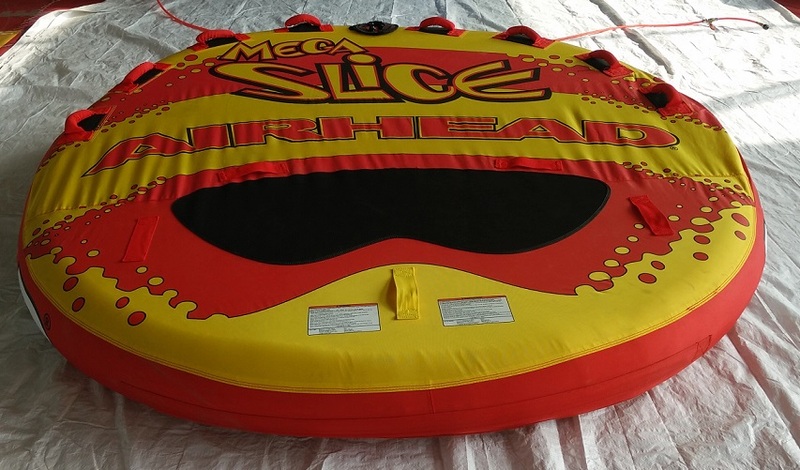 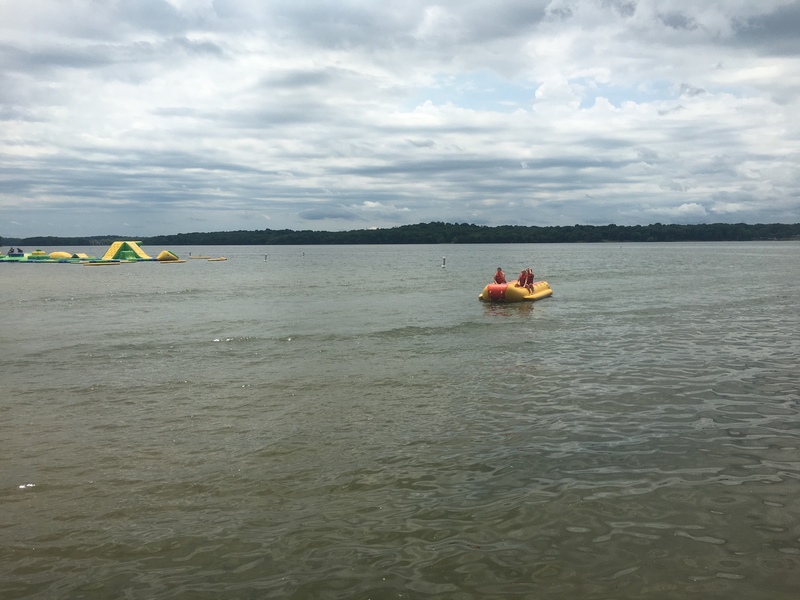 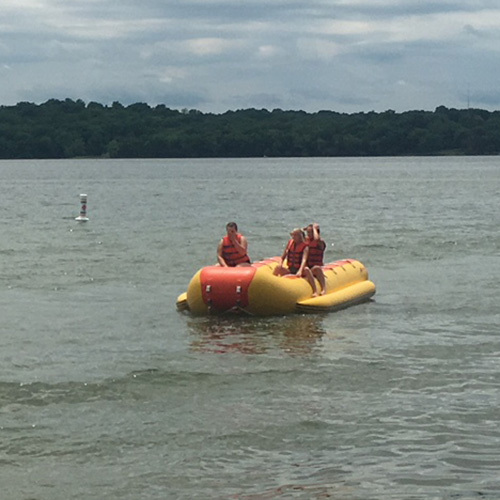 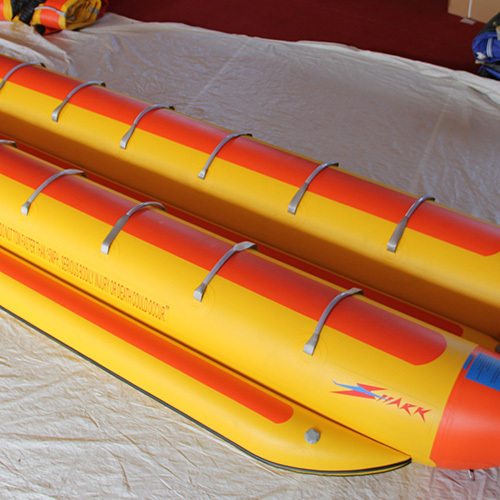 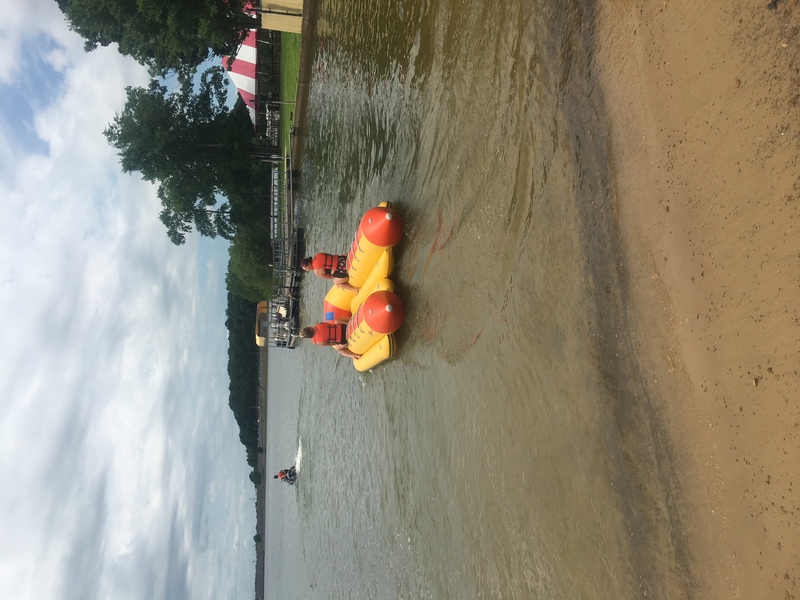 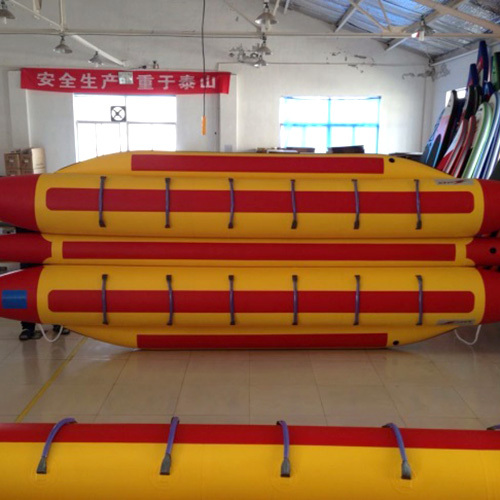 Inflatable water sleds are leisure and commercial towables designed to be towed by a boat. 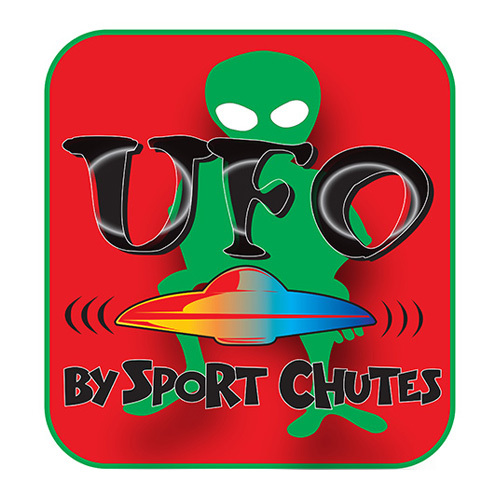 Sport Chutes offers a variety of products at different price points to allow the customer a choice. 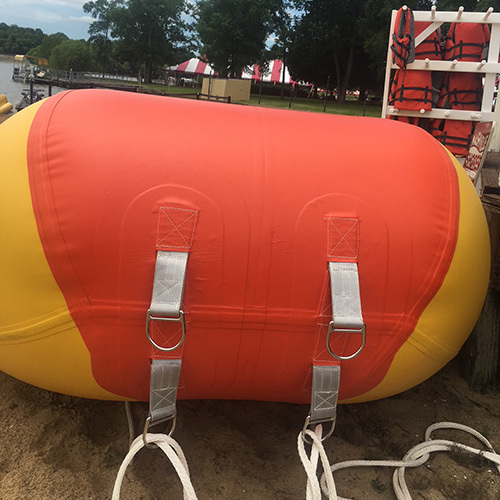 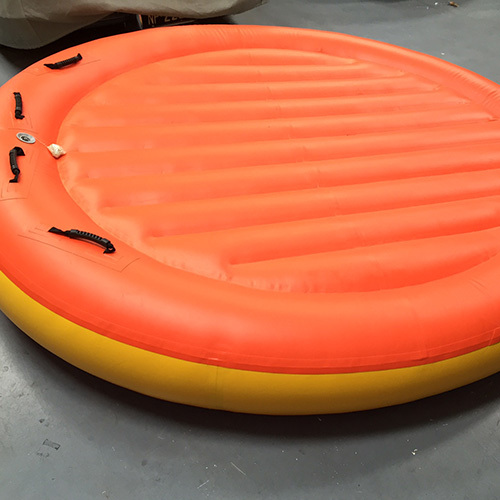 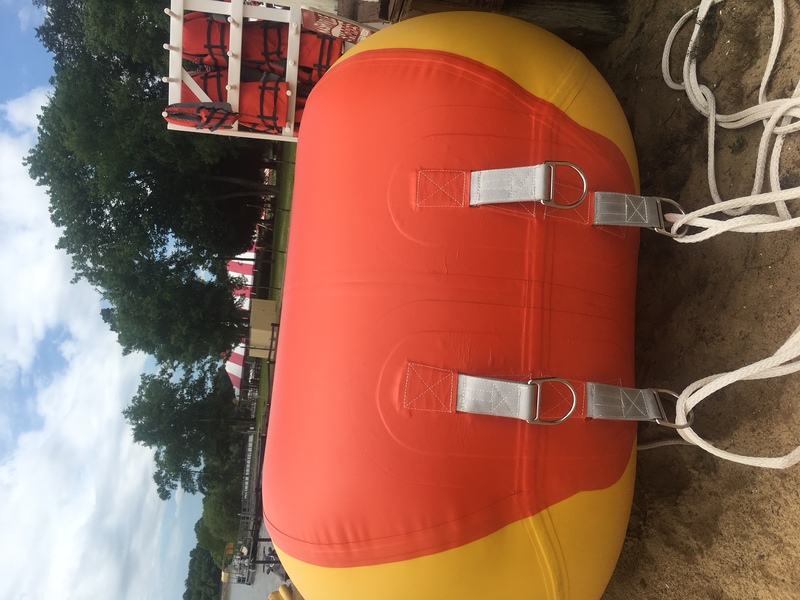 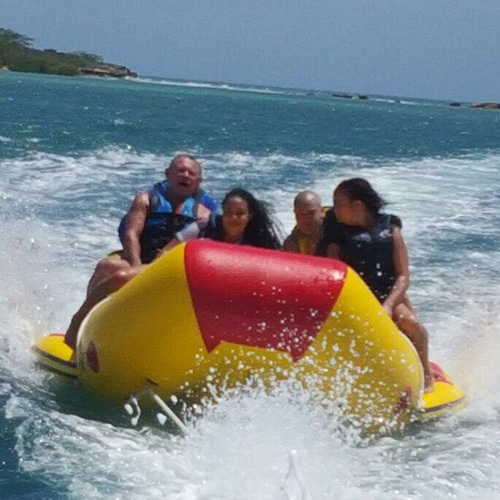 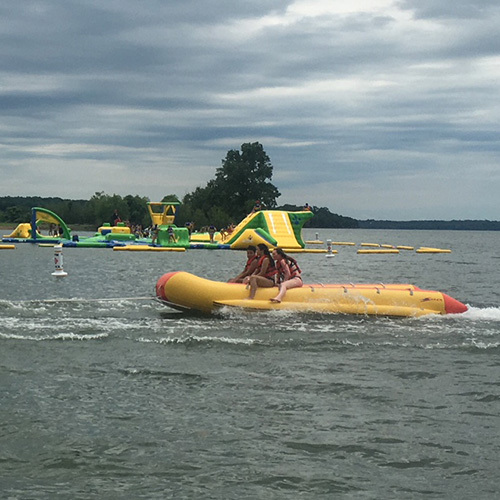 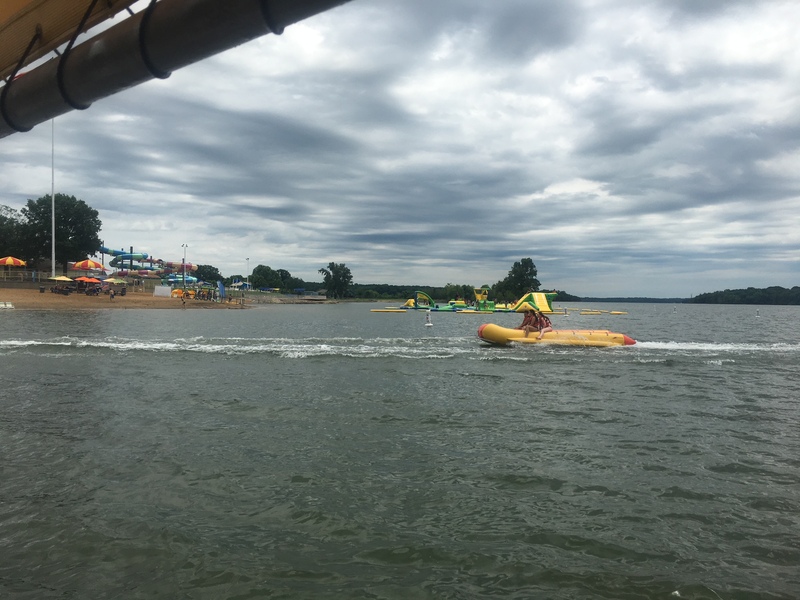 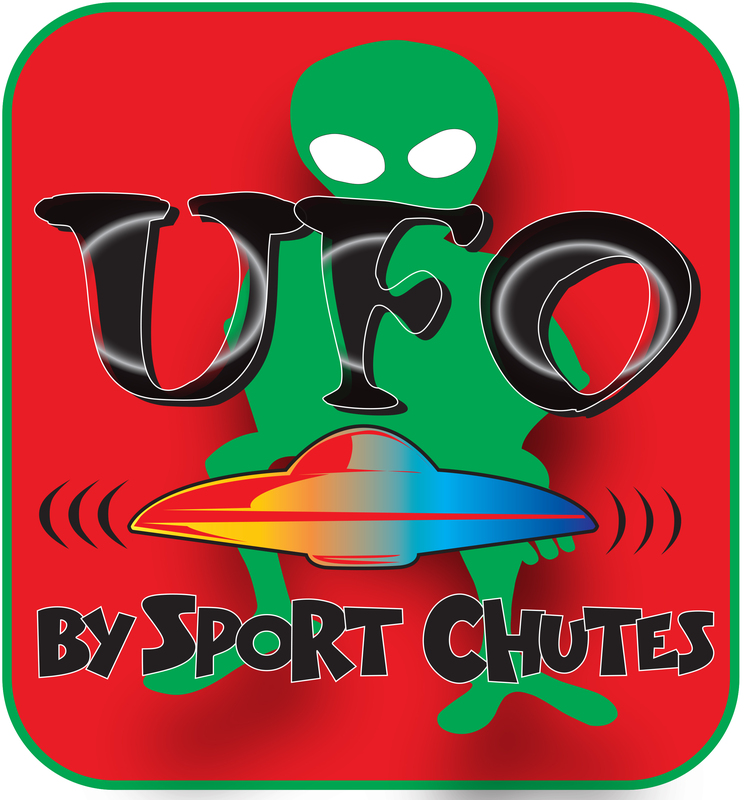 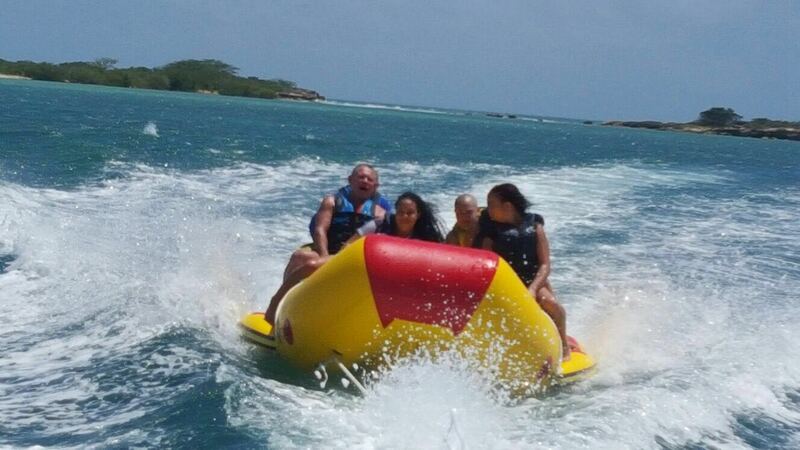 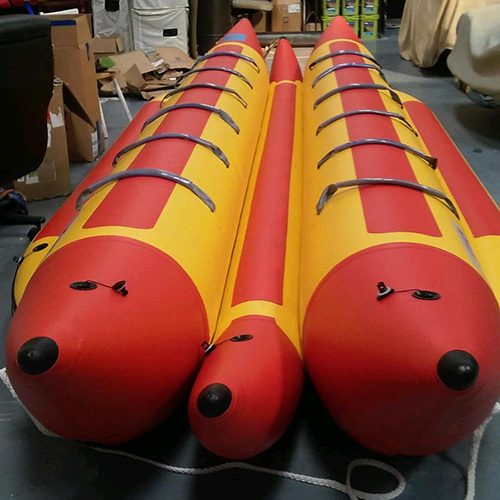 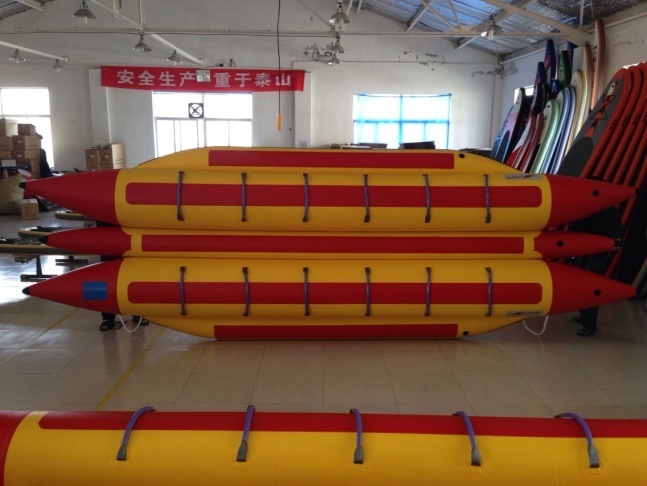 Sport Chutes has been designing and manufacturing inflatable watersleds since the early 80’s. 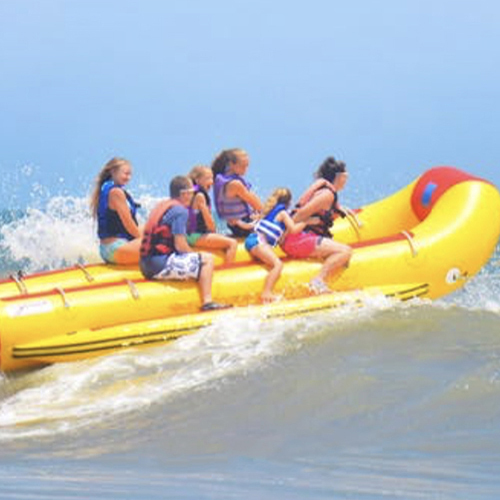 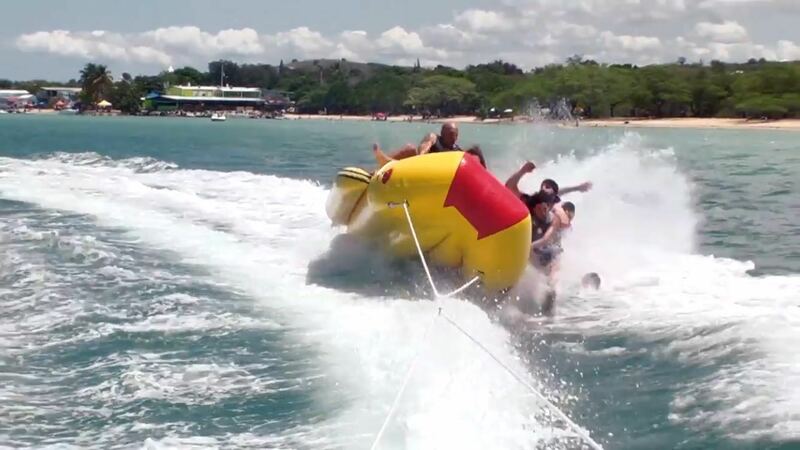 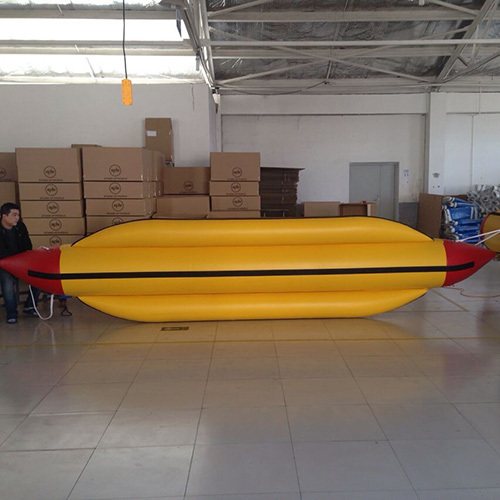 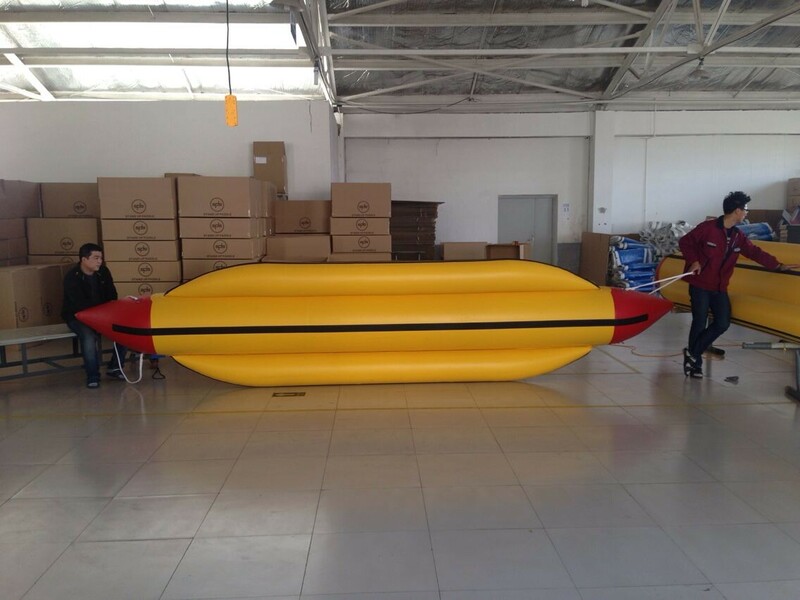 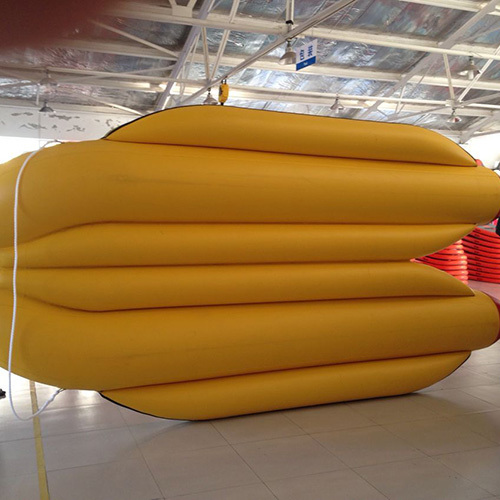 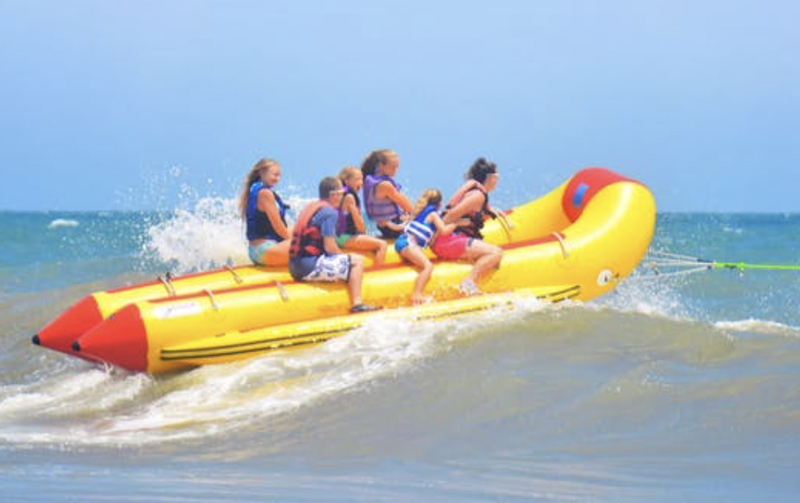 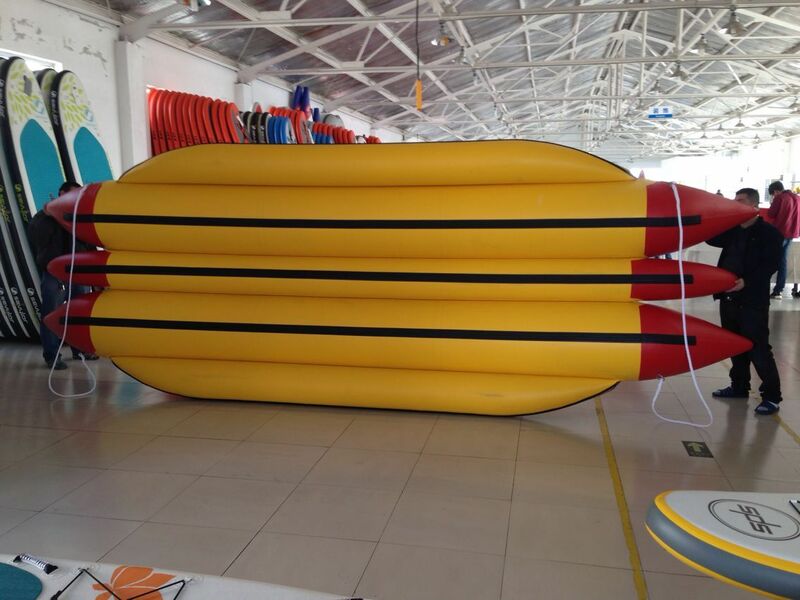 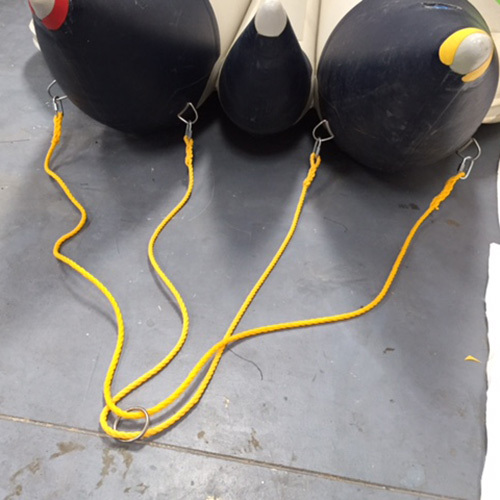 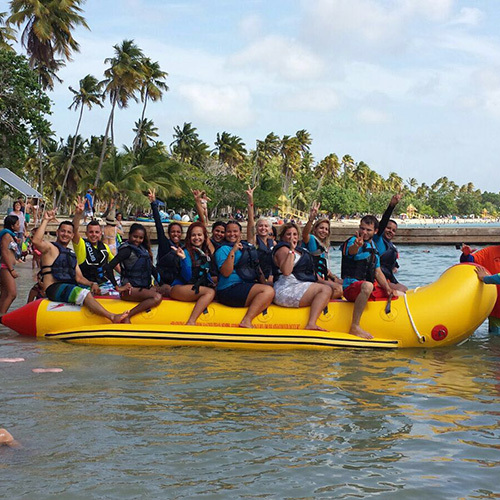 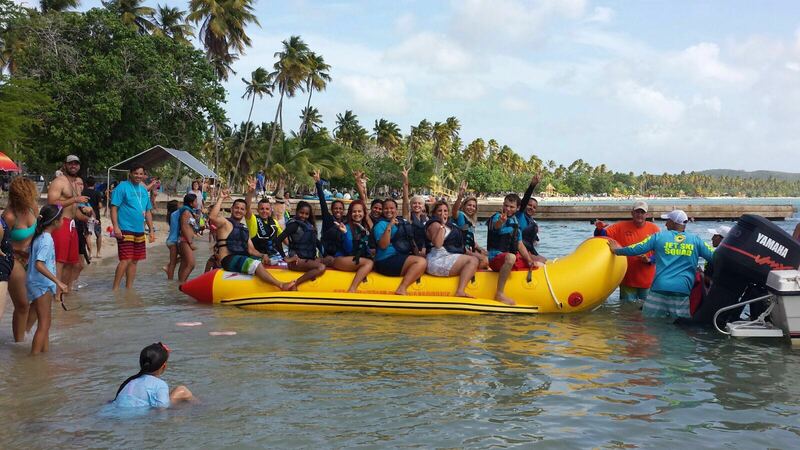 We started the watersled craze and introduced the idea of “Big Banana” rides to the commercial watersport operators. 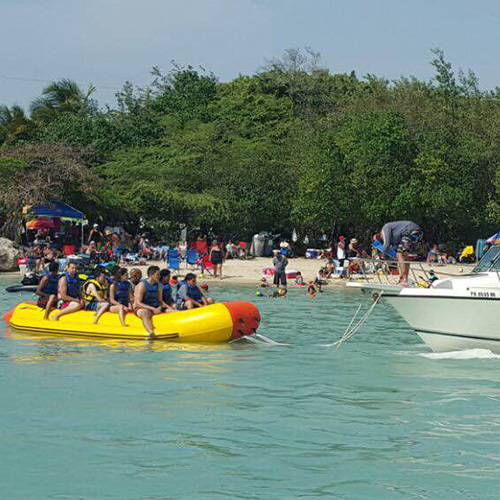 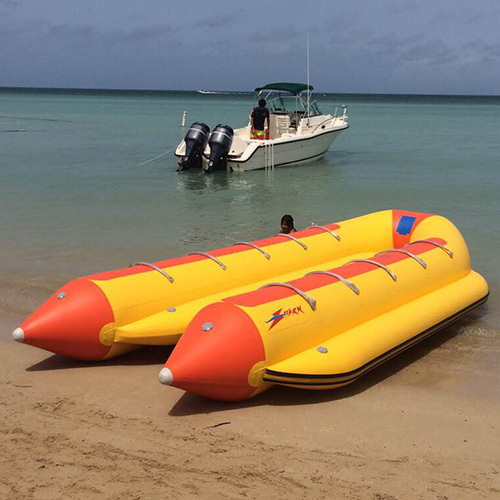 We showed watersports operators how to make money through selling rides as a compliment to the parasailing. 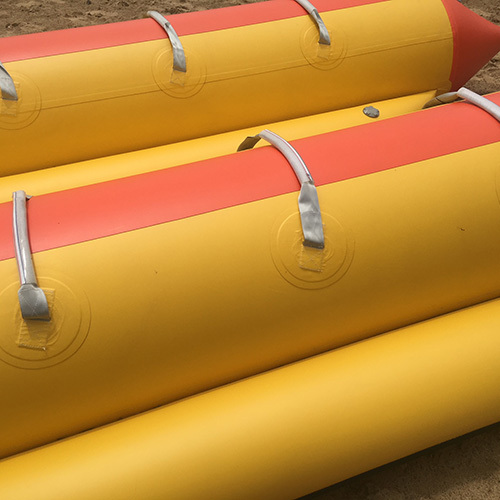 Our designs are a product of the unit being used in extreme rental situations in very UV intense climates for more than two decades. 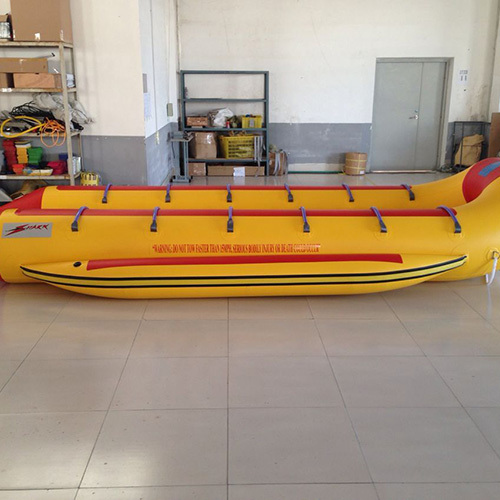 All of the features of these units incorporate research and development findings in very rigorous commercial environments. 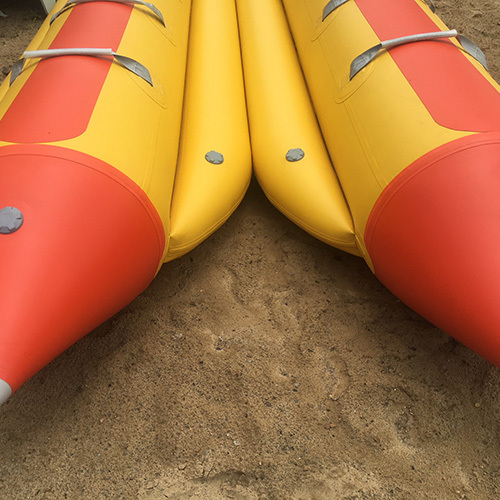 Our units are the most copied in the world and range in size from 3 seats to 12 seats in a row or side by side or shuttle design. 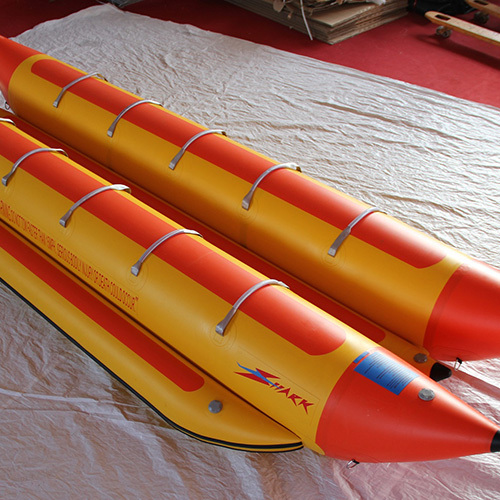 They all have many useful features which make the units work better and last longer. 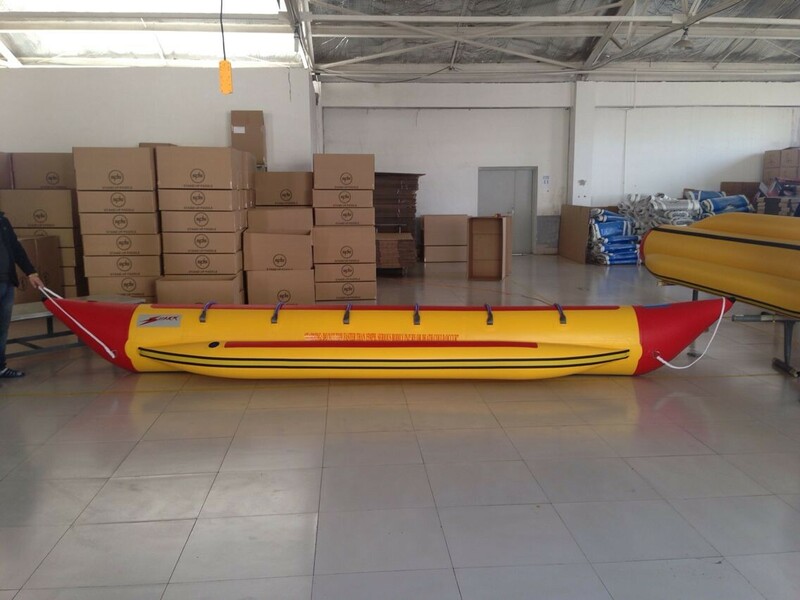 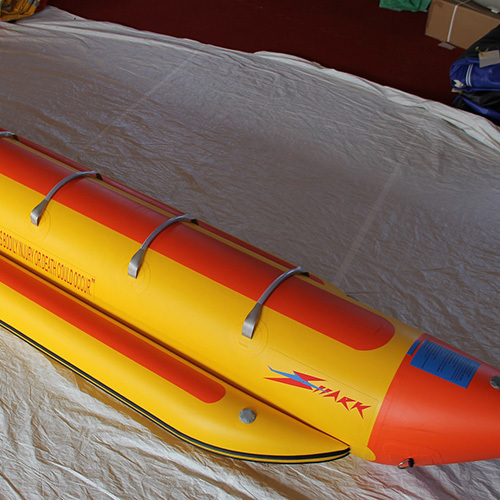 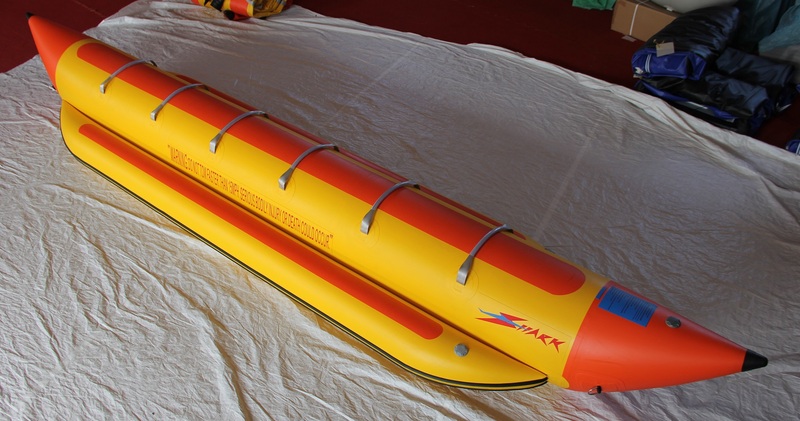 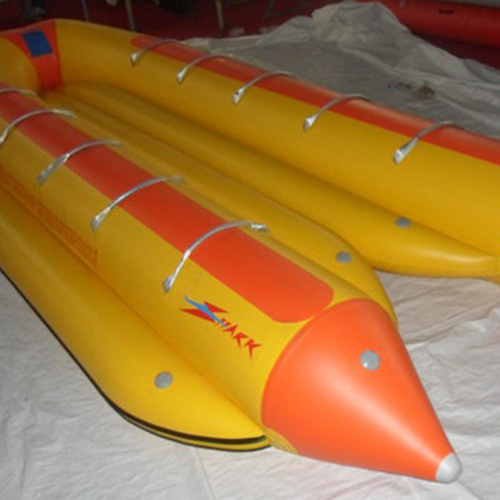 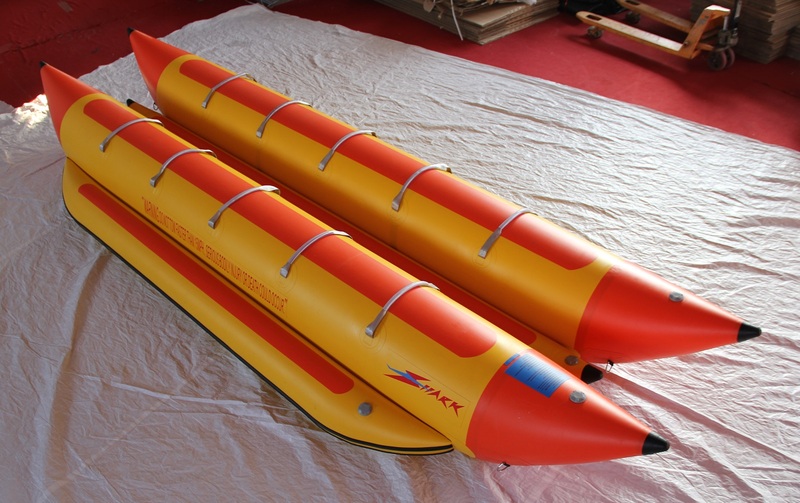 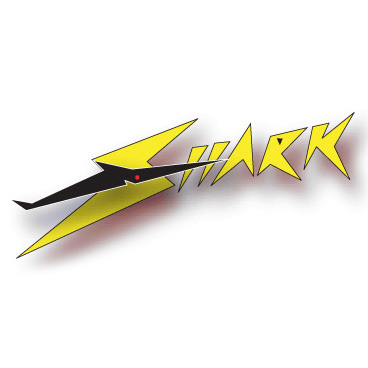 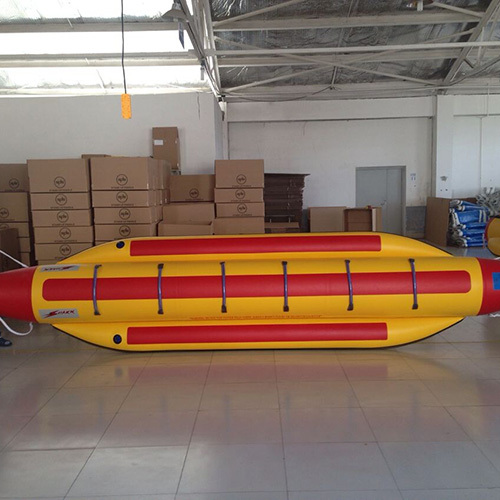 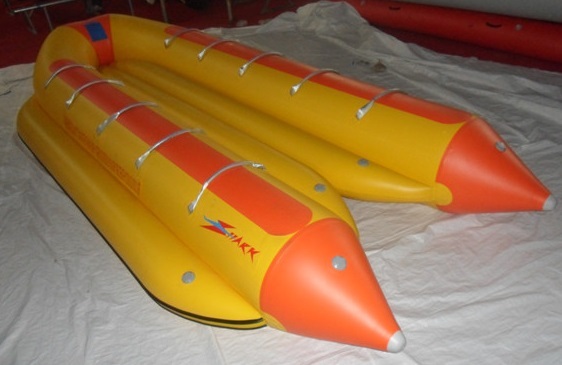 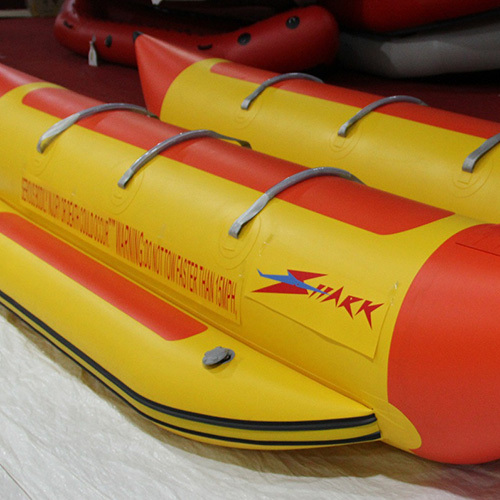 Our Shark is made of 1100 denier PVC (construction and material like Zodiac boats). 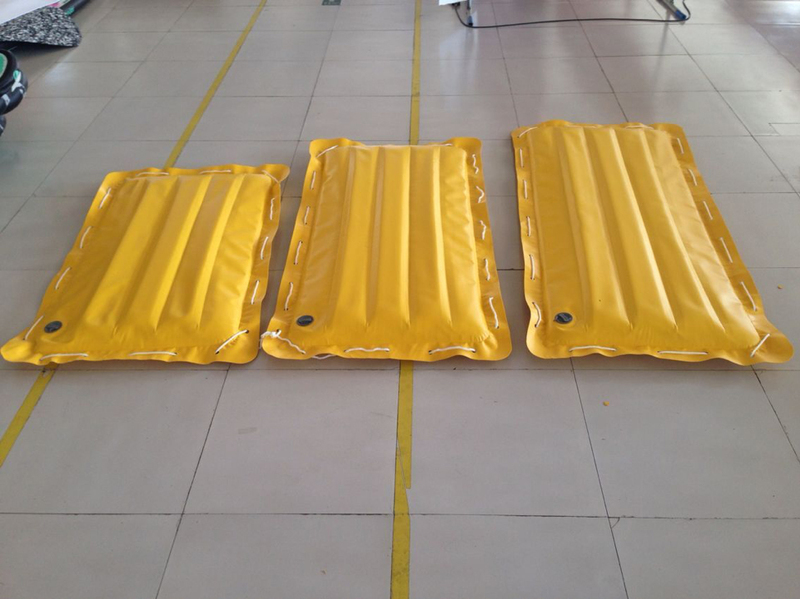 Features on the units include: seat and foot reinforcement pads; in line and side by side units can be pulled from either direction (not Shuttle); mostly seamless construction (or hidden seams); padded handles, etc. 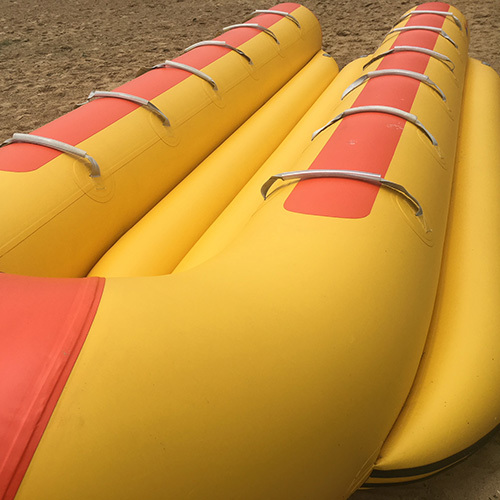 Our newest addition, the “Shuttle” is a 10 or 12 seater that is a combo riverboat/watersled design in the front and side by side in the back. 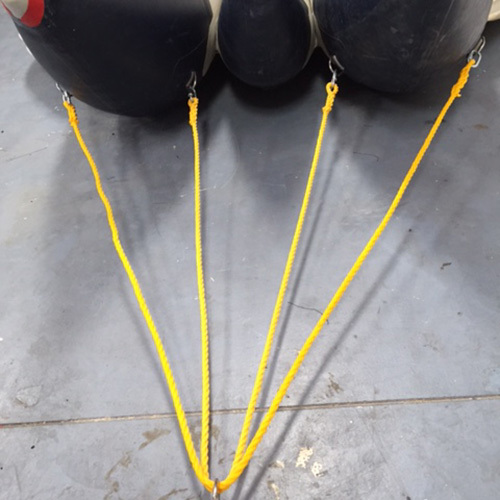 We created this style for stability so parasail operators running off of “no propeller” beaches can pick up many passengers, even in large surf. 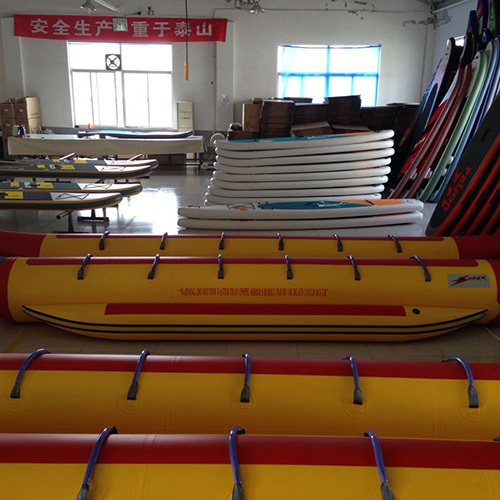 It is also popular in any commercial watersports use as well. 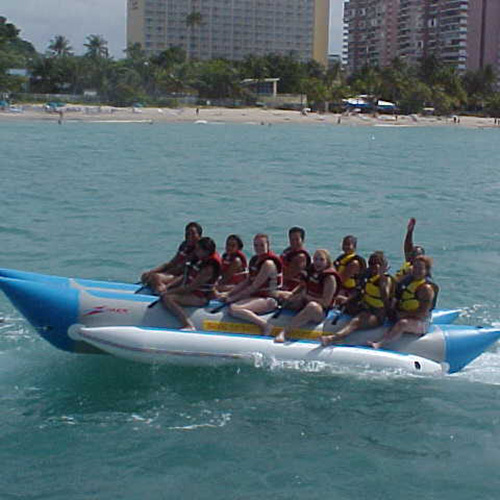 In commercial parasailing, this unit is towed by a Wave Runner to the beach and parasail passengers board. 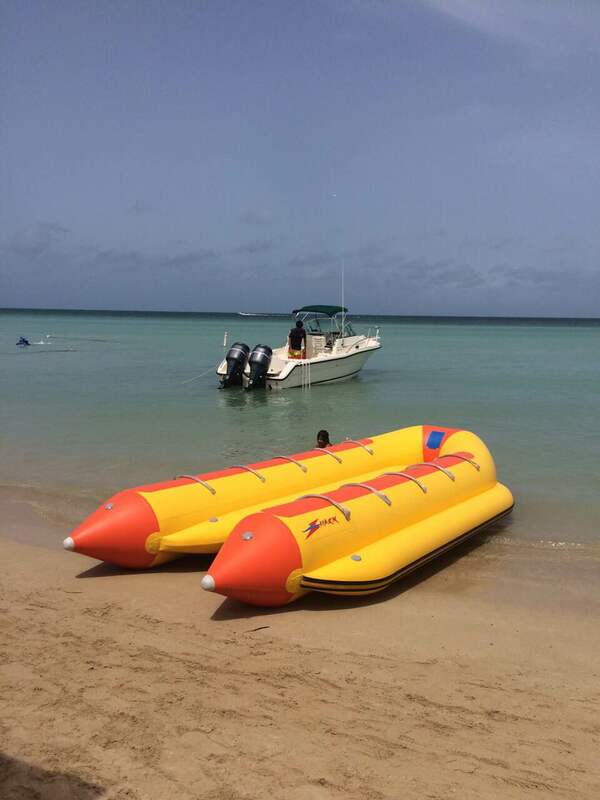 They are then transported to the parasail boat offshore. 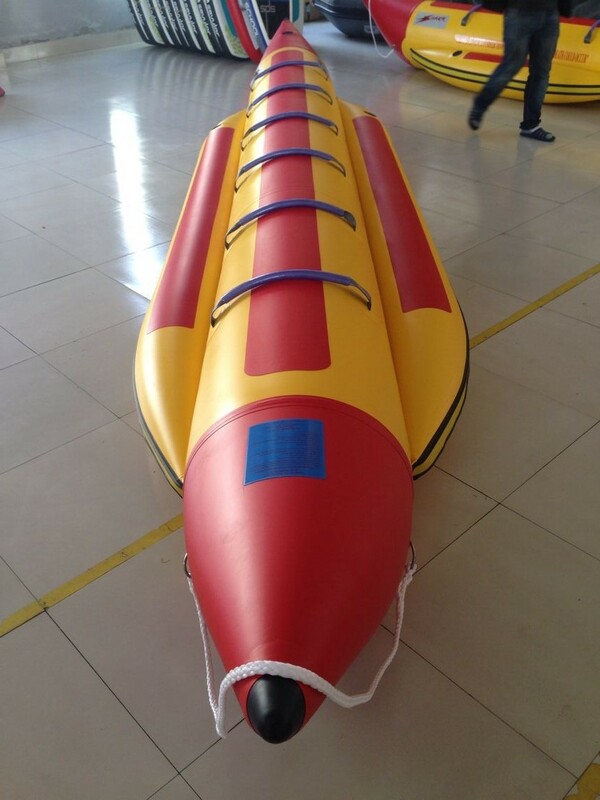 This way the passengers get two rides for the price of one and it is a cheap way to exchange a lot of people without having to go into the dock area. 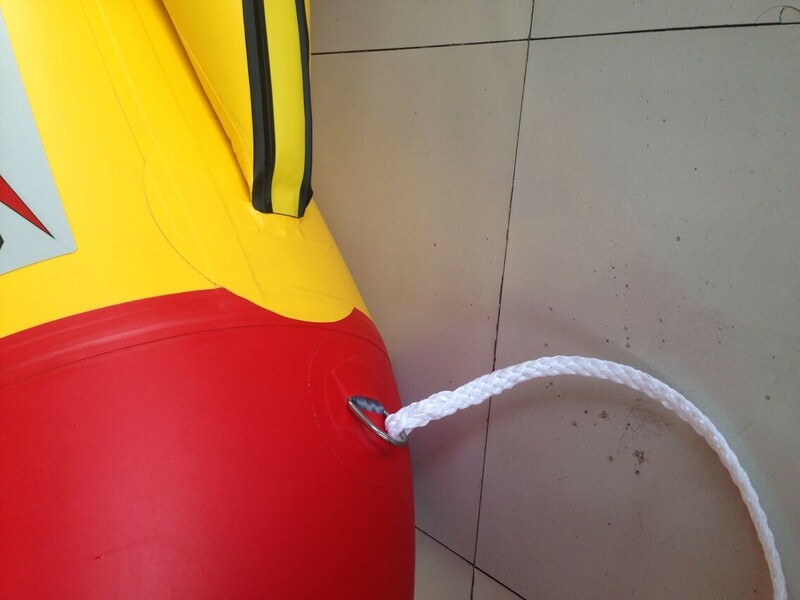 This also saves gas and time. 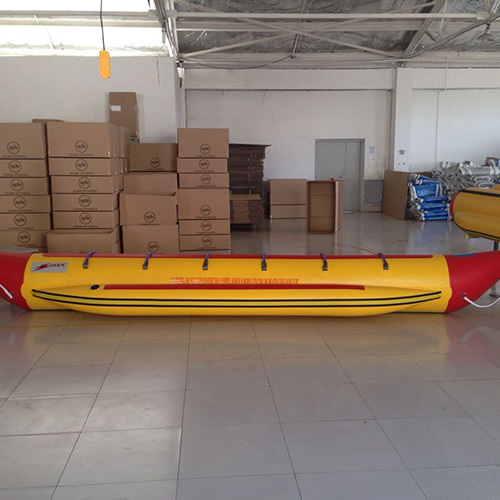 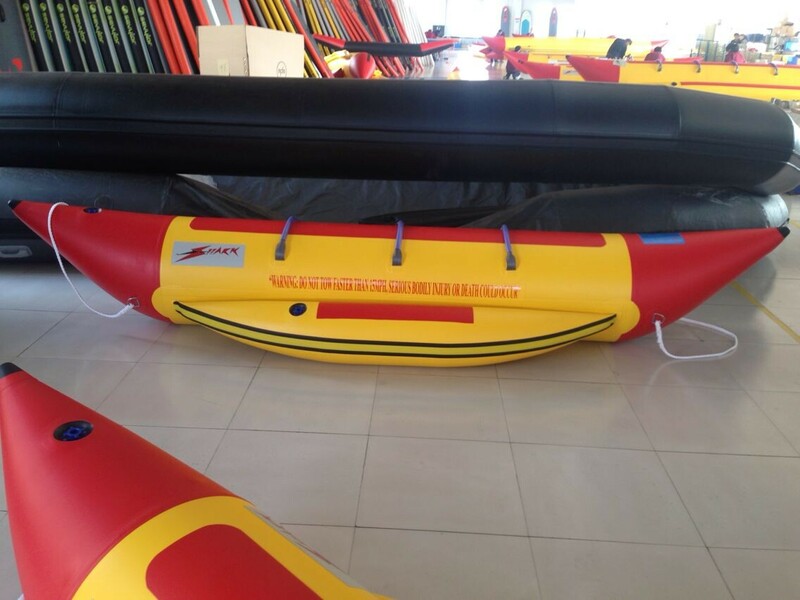 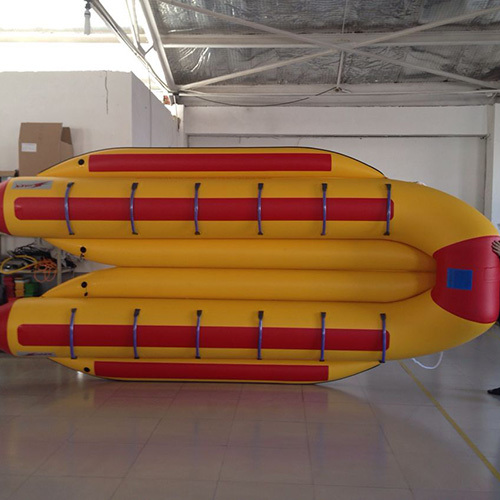 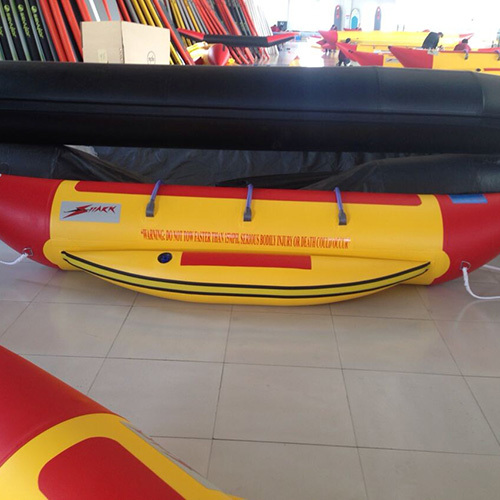 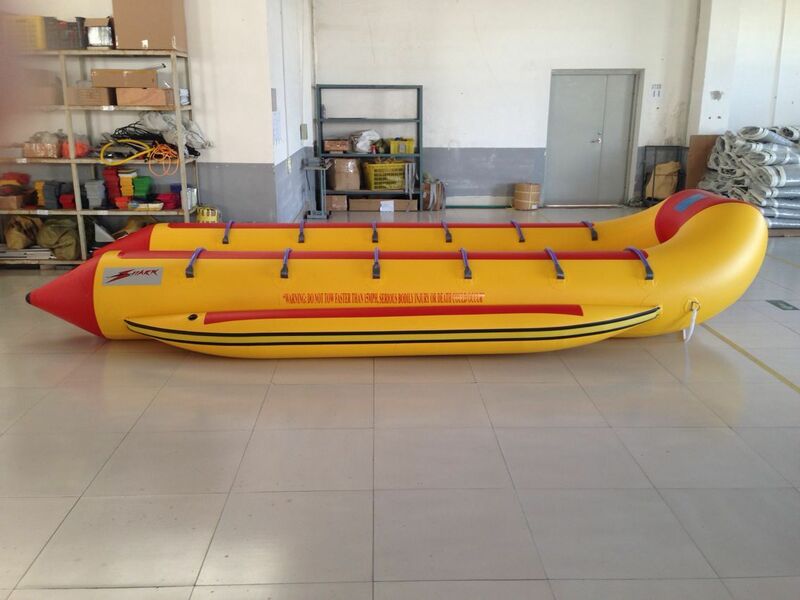 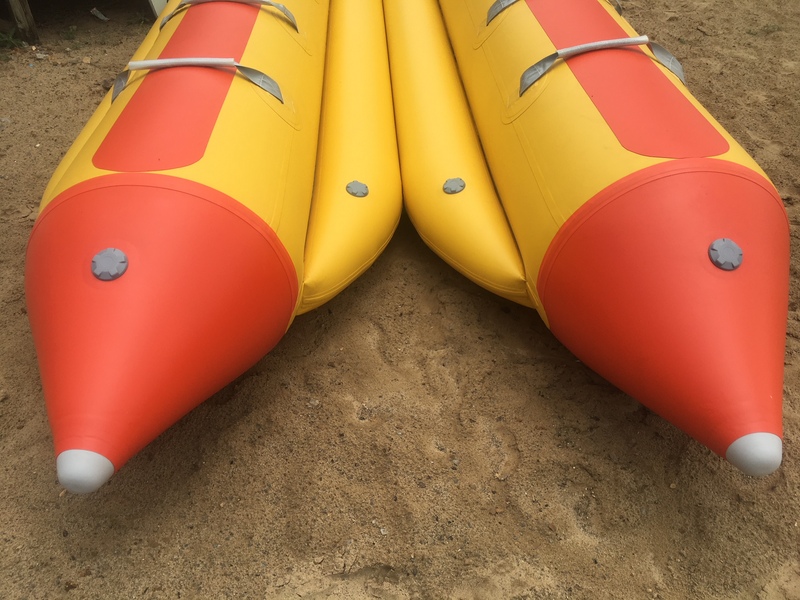 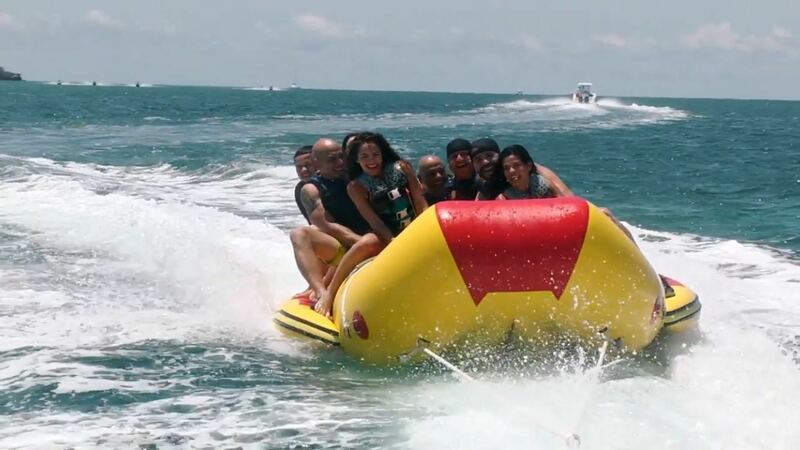 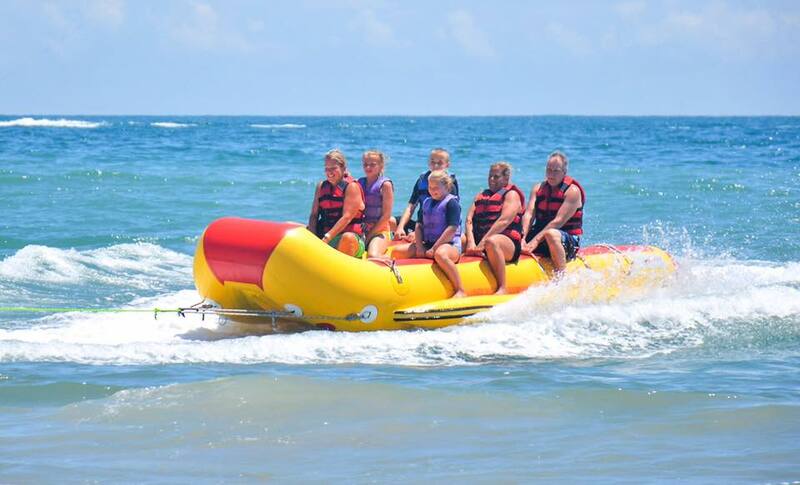 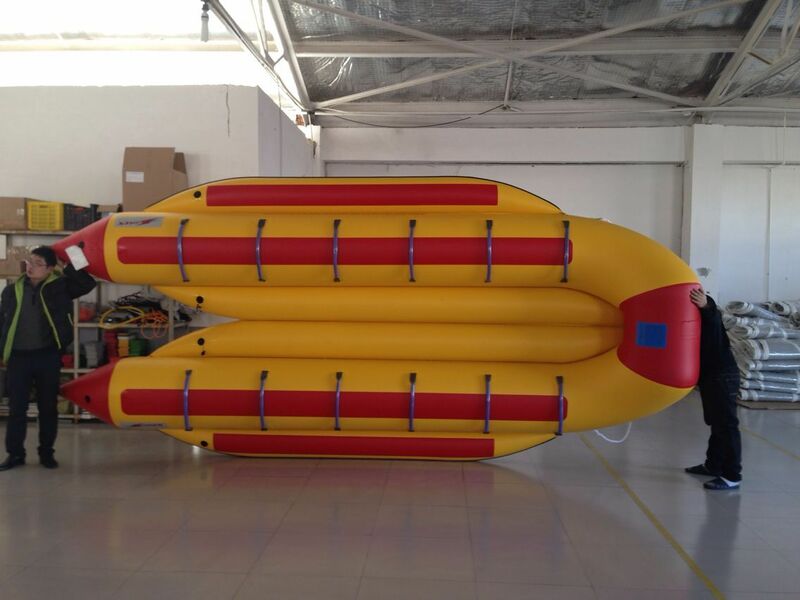 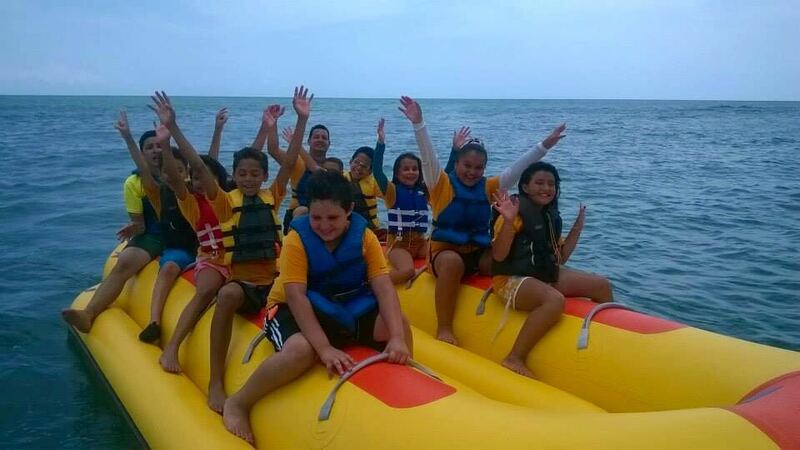 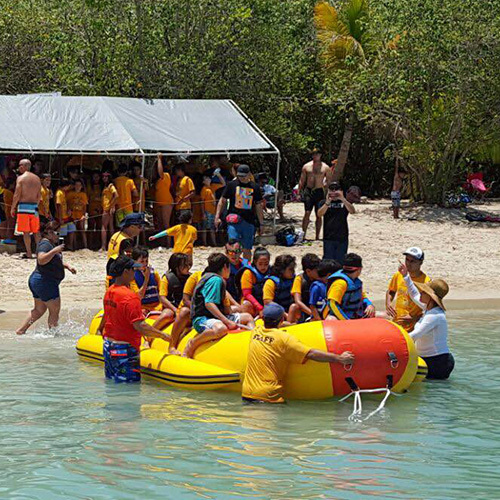 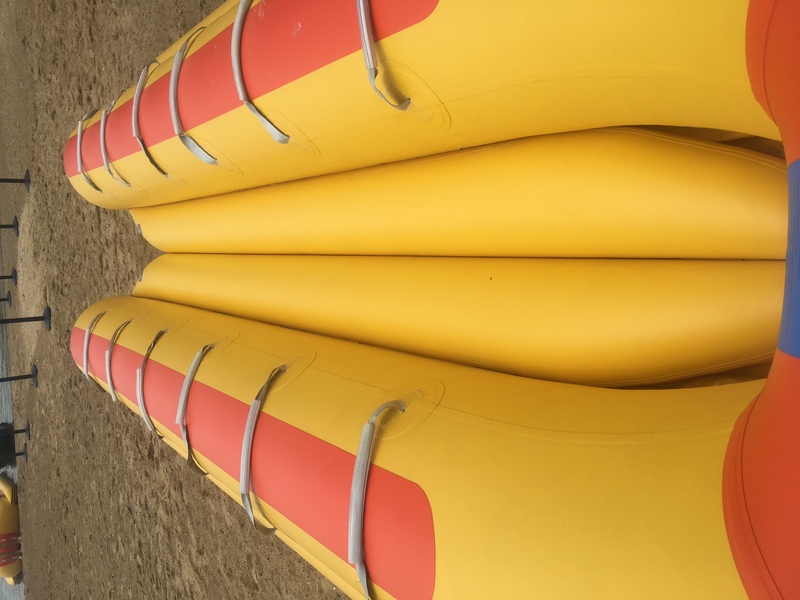 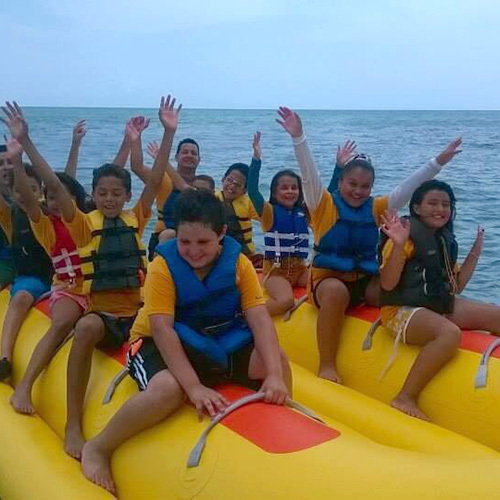 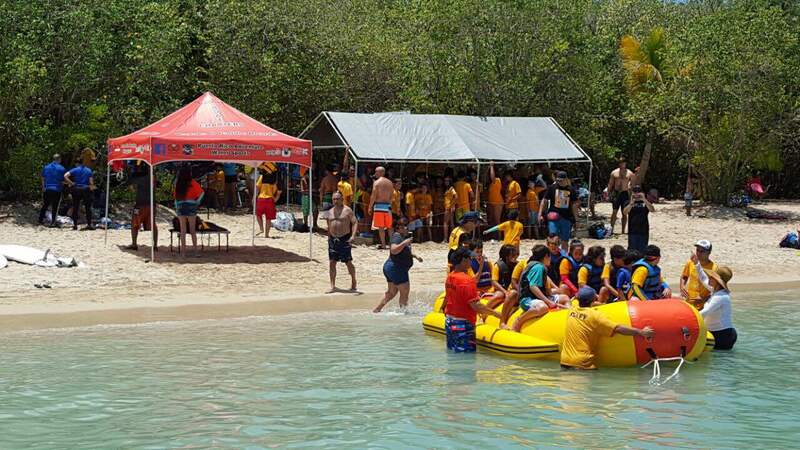 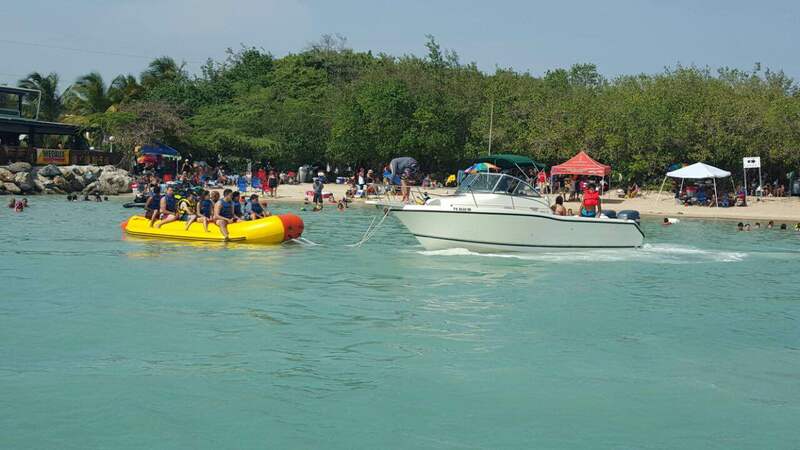 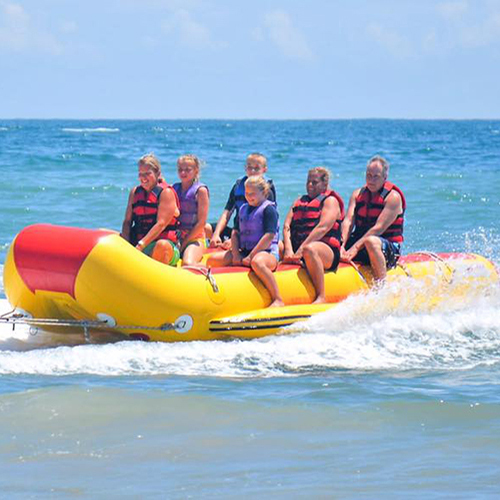 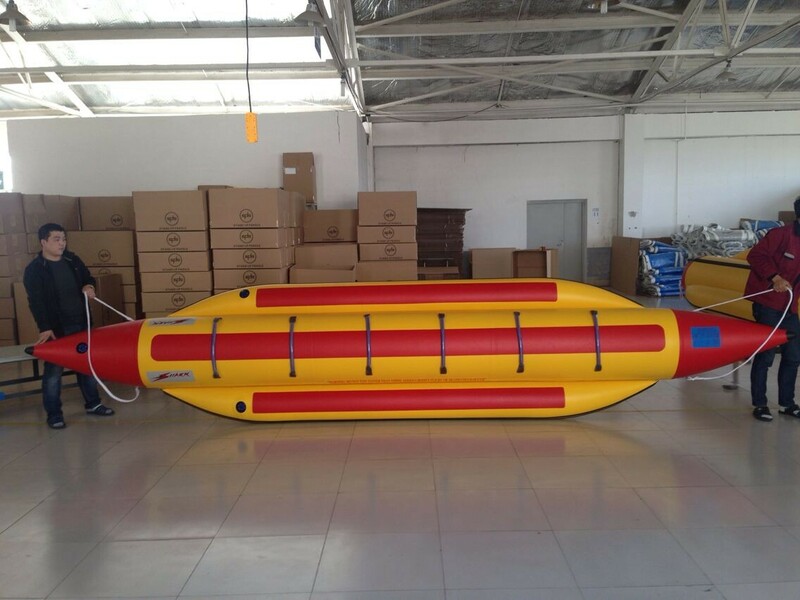 This model is also very stable and popular with camps, banana boat operators and individuals. 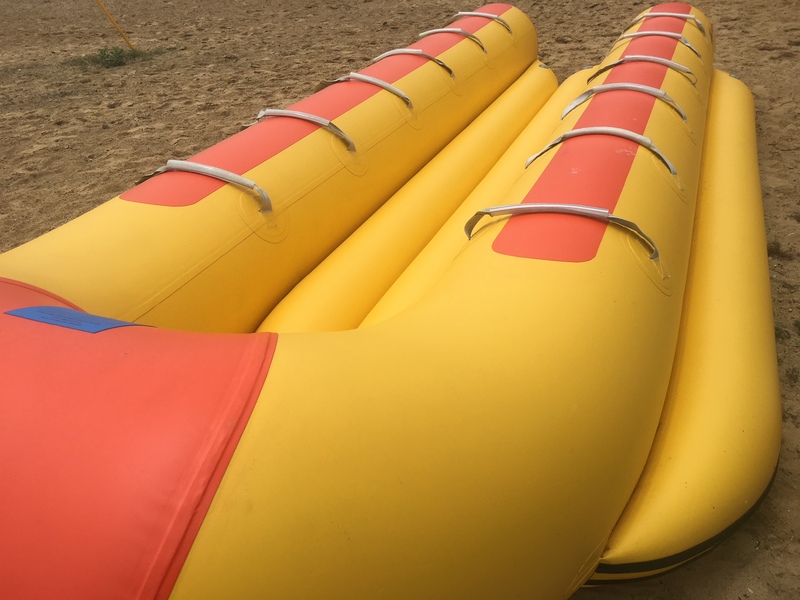 Sizes we offer: 6 seat in line, 6 seat side by side, 6 seat shuttle (special order), 8 seat in line, 8 seat side by side, 8 seat shuttle (special order), 10 seat side by side, 10 seat shuttle, 12 seat side by side, 12 seat shuttle. 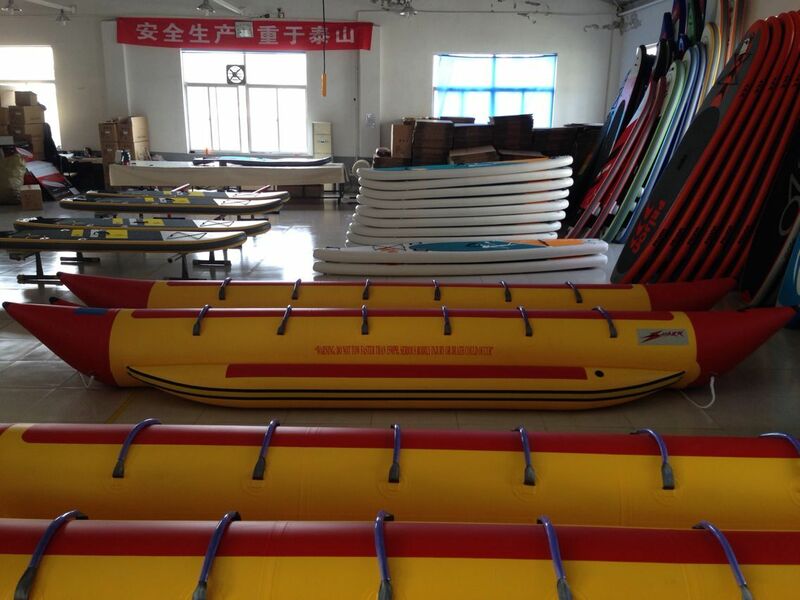 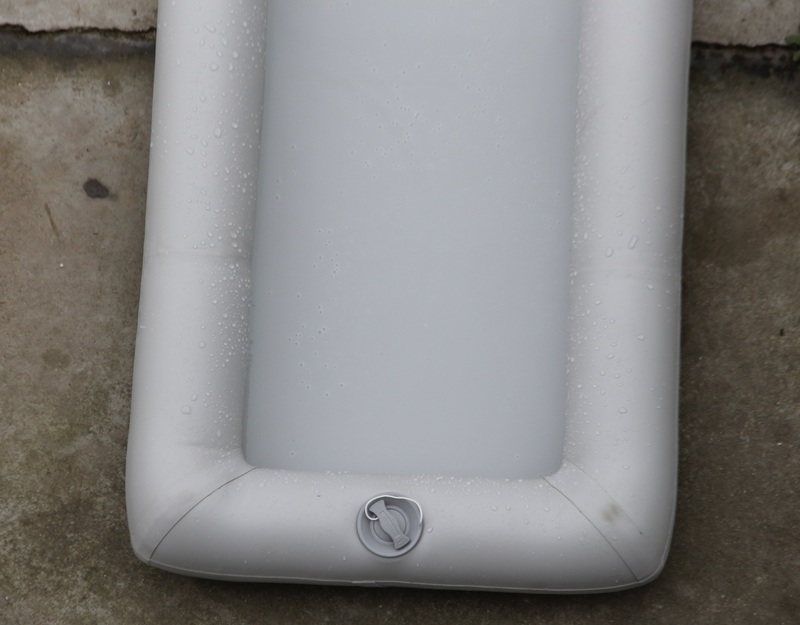 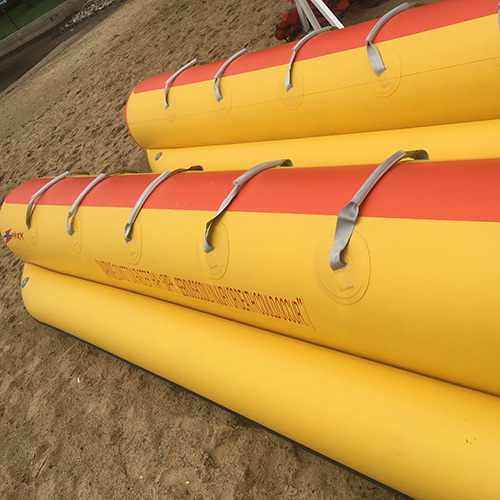 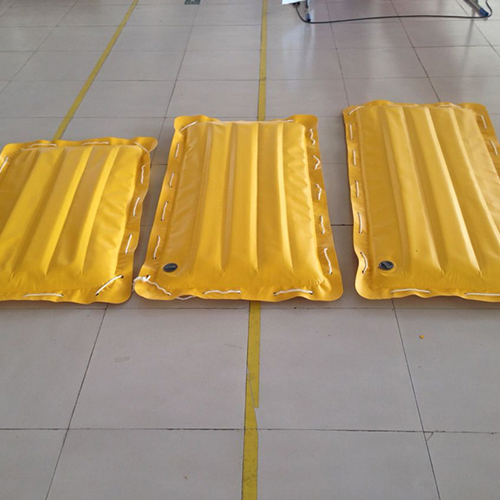 Surfrider is the most rugged, commercial quality PVC beach float suitable for rental or leisure use. 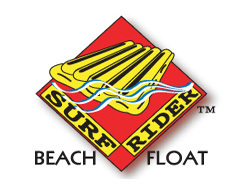 As a rental item, Surfrider has proven to be a good money maker when rented by the half day or full day. 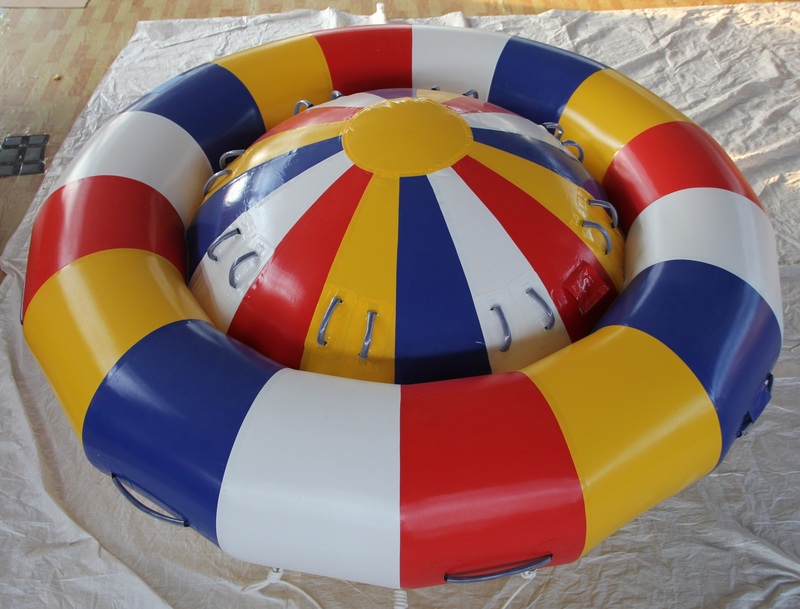 It is perfect for floating and relaxing in the ocean or gliding over the waves. 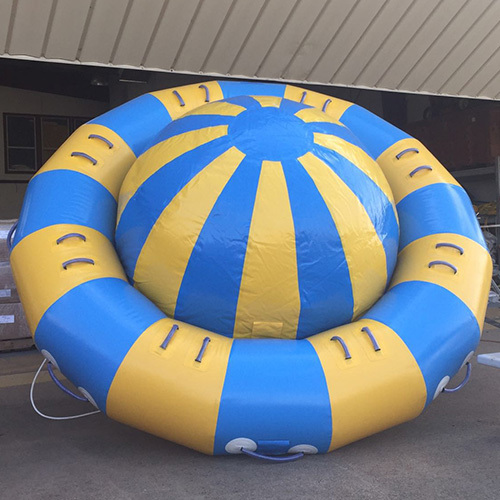 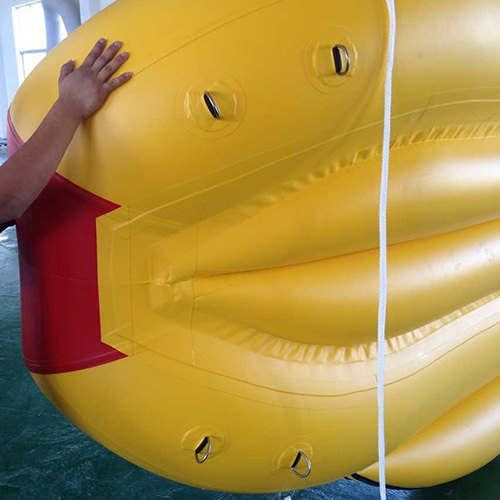 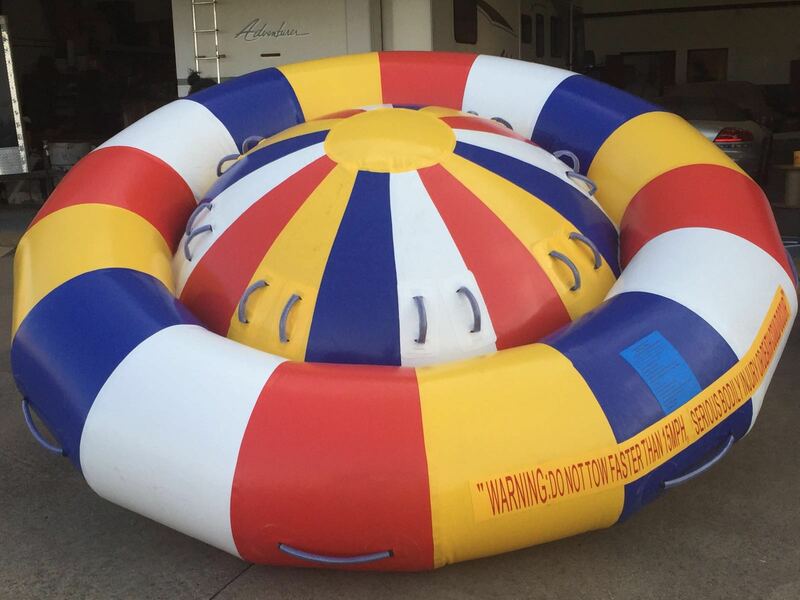 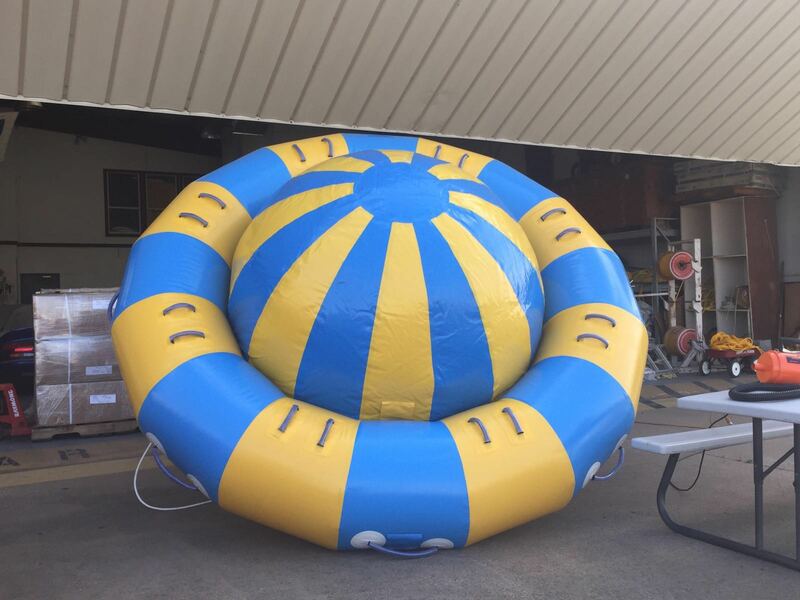 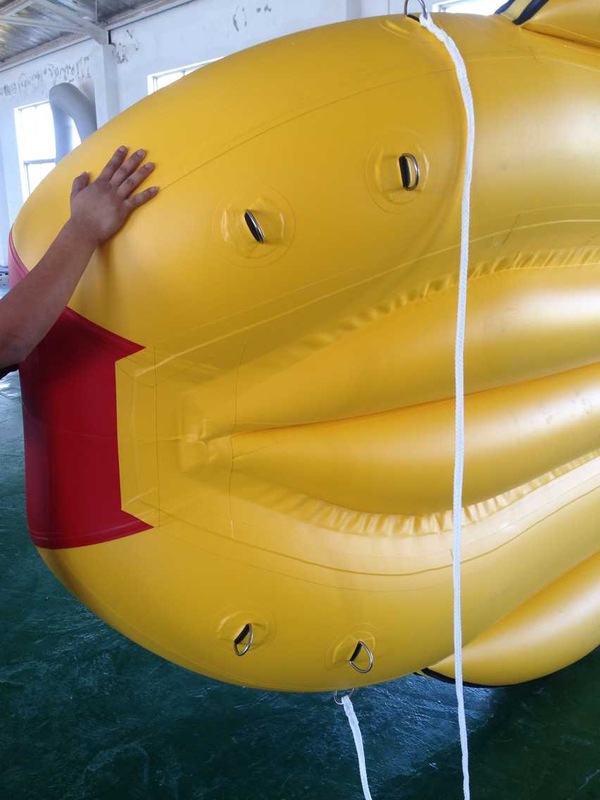 It is the ultimate beach float for kids or adults alike. 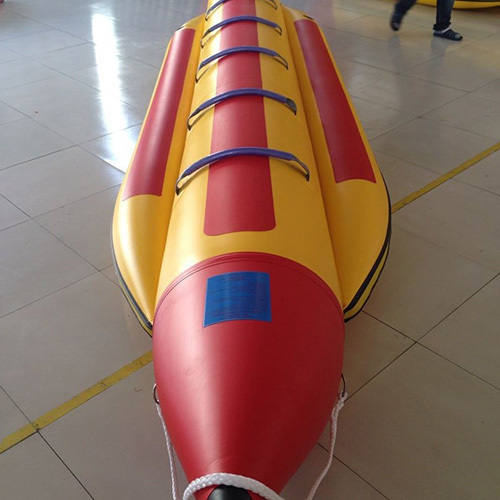 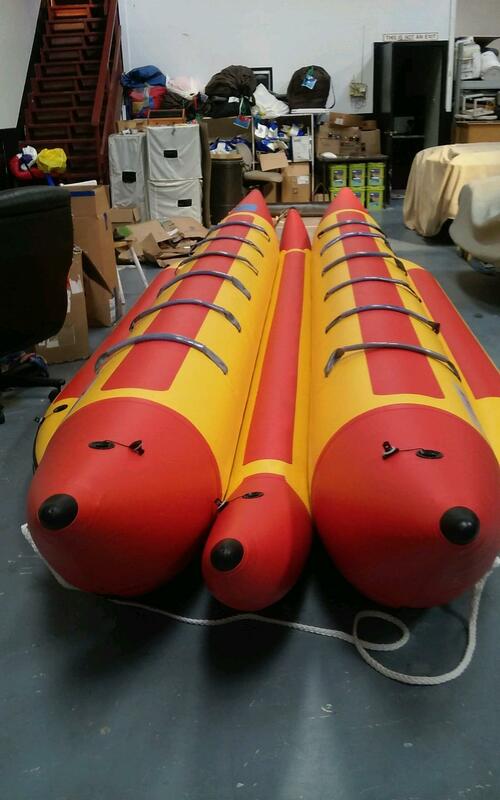 It is cold glued and made of 1100 denier PVC just like our commercial quality Shark inflatable watersleds. 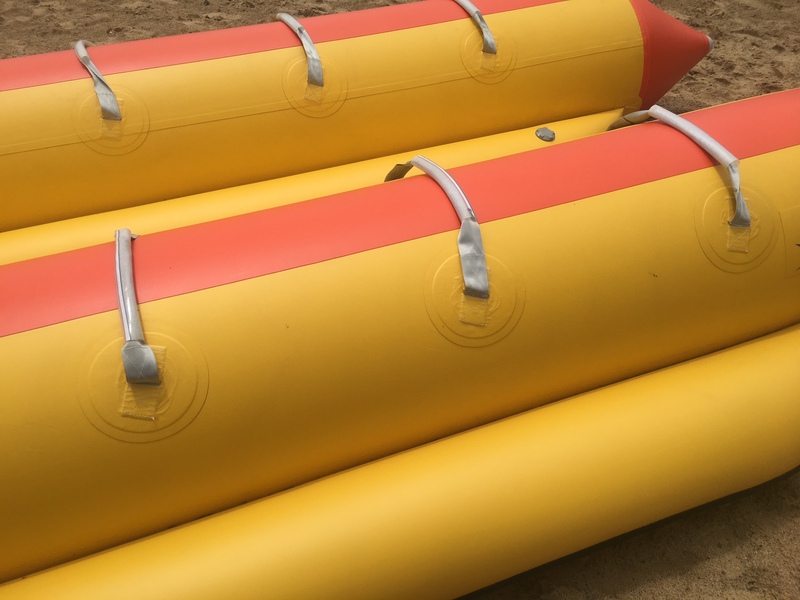 PVC has UV protection and has proven year after year as the longest lasting, most durable and most dependable material for air retention, puncture resistance and durability in a harsh sunny environment. 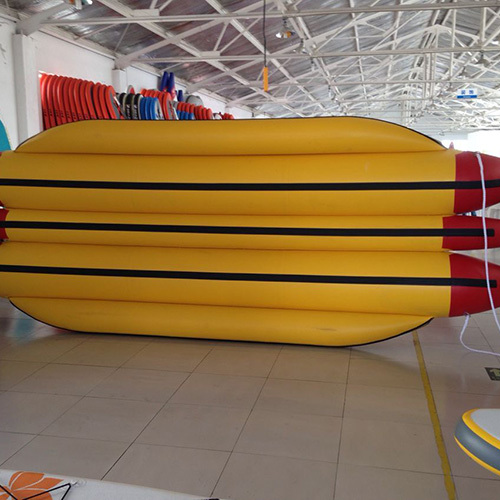 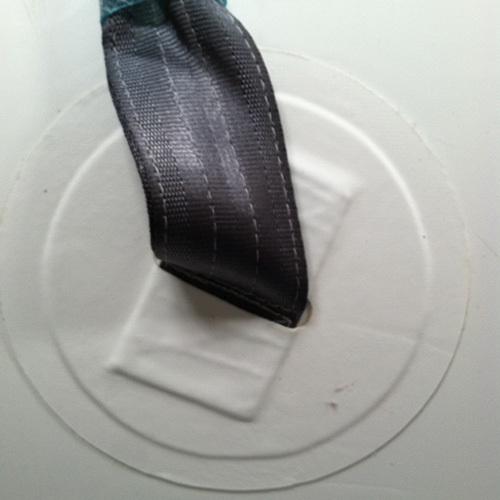 It is best to store Surfrider deflated for prolonged periods on non-use. 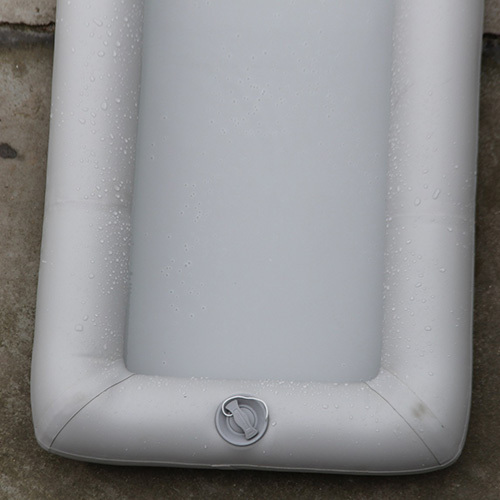 Keep Surfrider out of the sun, under shaded cover when not in use. 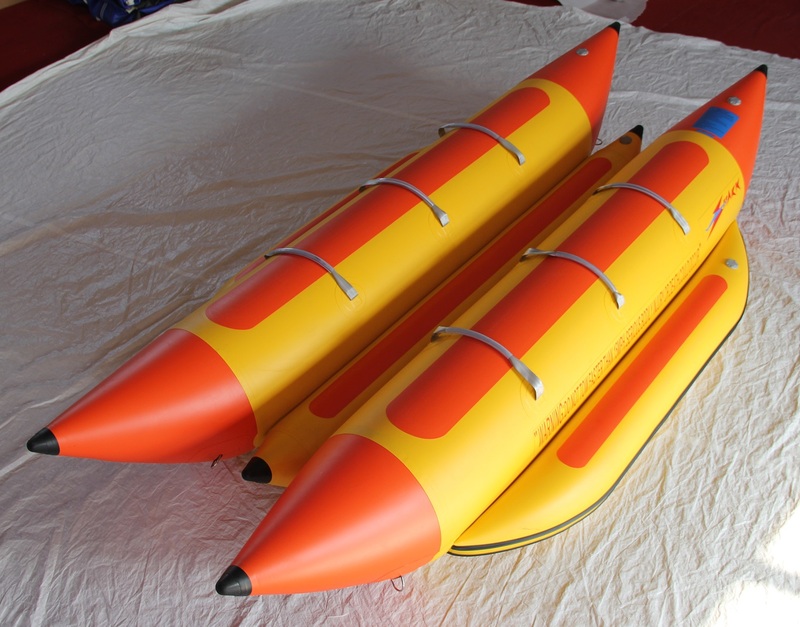 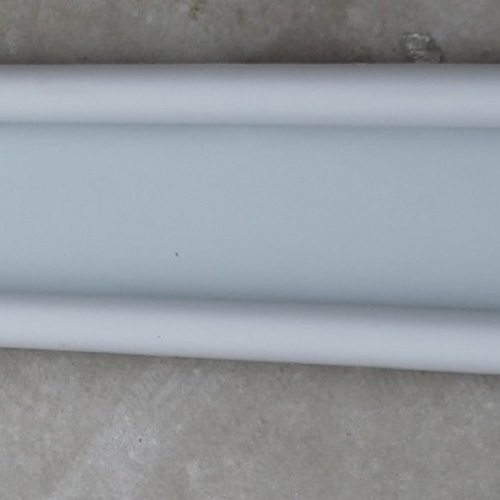 Surfrider comes in 3 sizes: 48”, 60” and 72” tall and 30” wide. 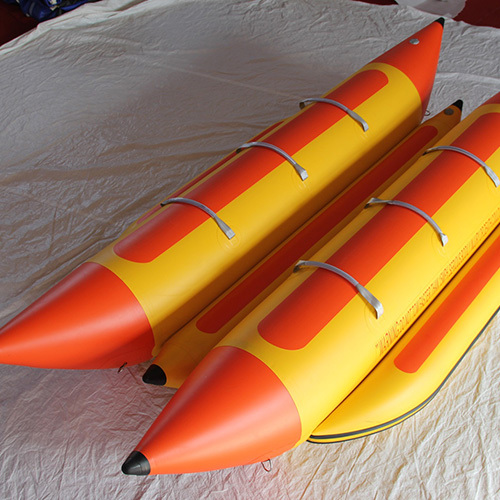 Each Surfrider weighs about 7 lbs. 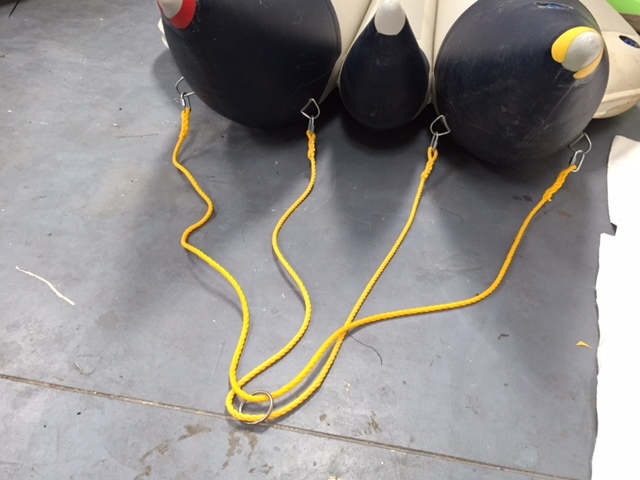 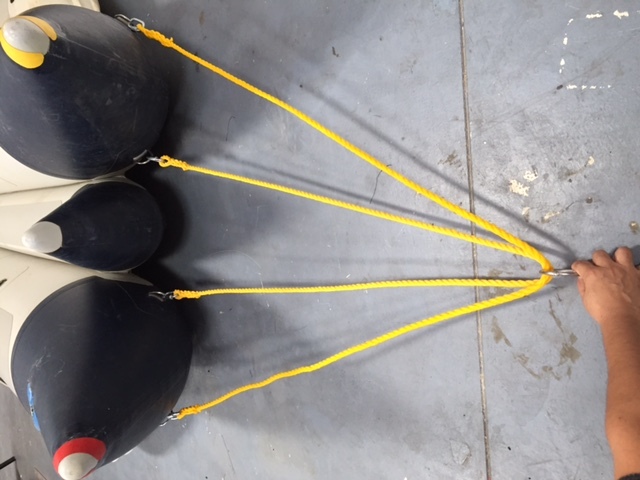 Each Surfrider is wide enough for one person and has a grab rope all around the exterior for easy recovery. 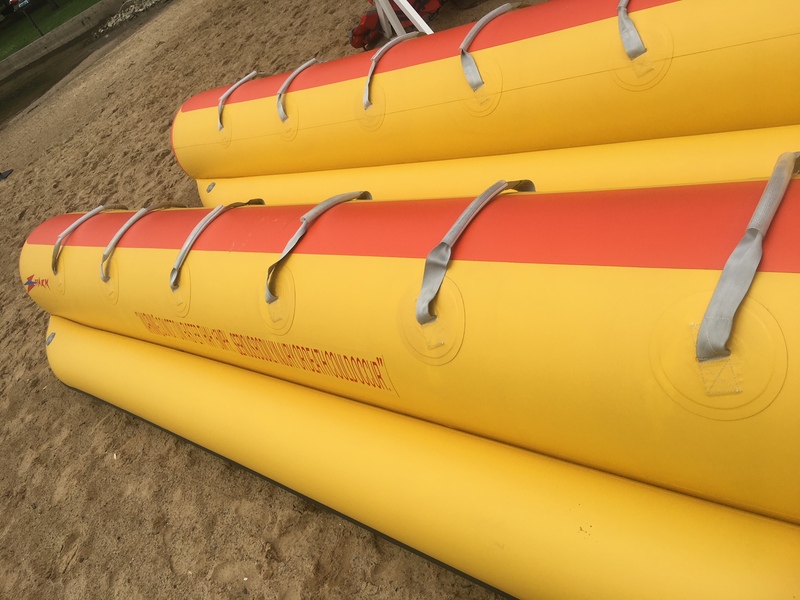 Each Surfrider is bright yellow in color for great visibility on the water. 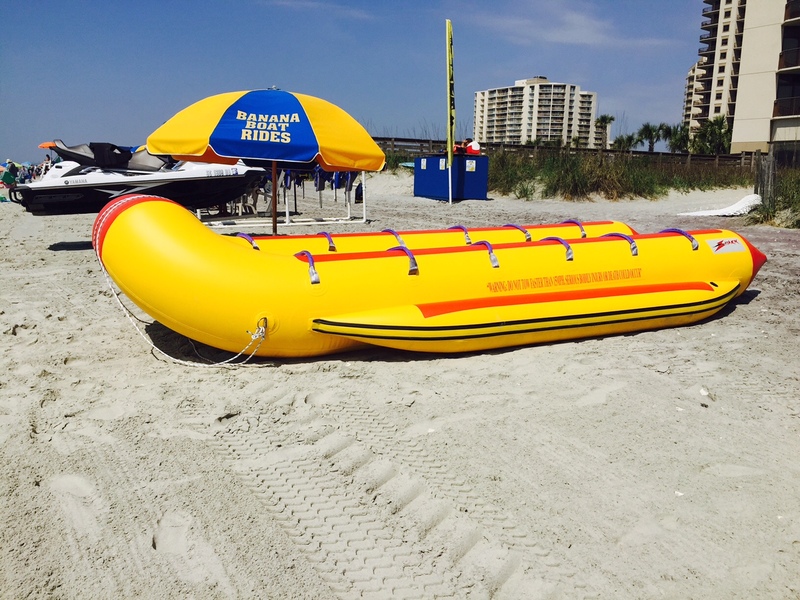 Surfrider is not designed as a personal floatation device but is designed for a lot of fun under the sun. 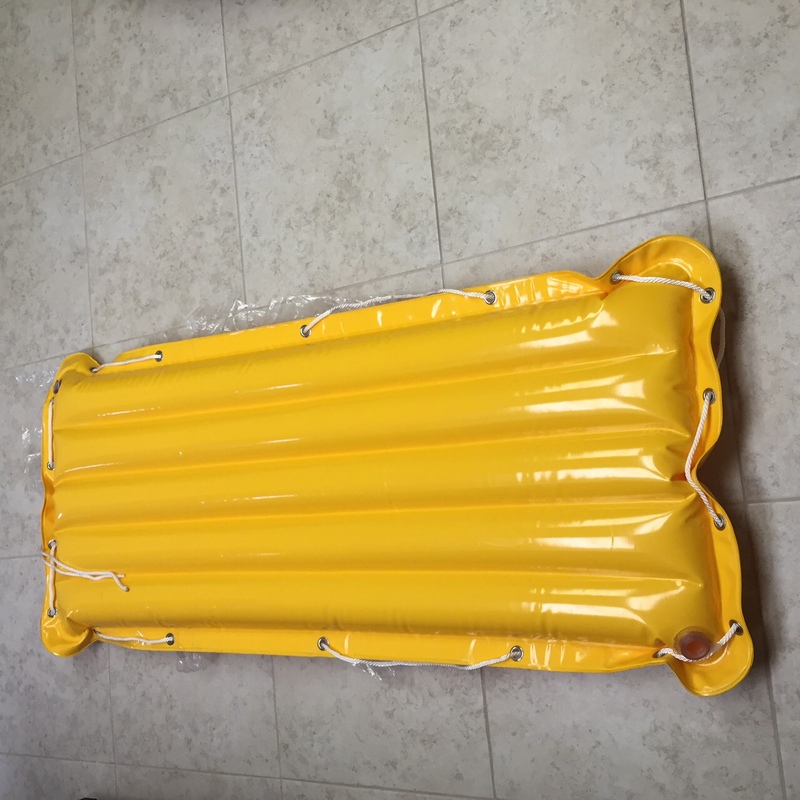 It easily inflates in less than 2 minutes with a standard foot pump (not included, but sold as accessory). 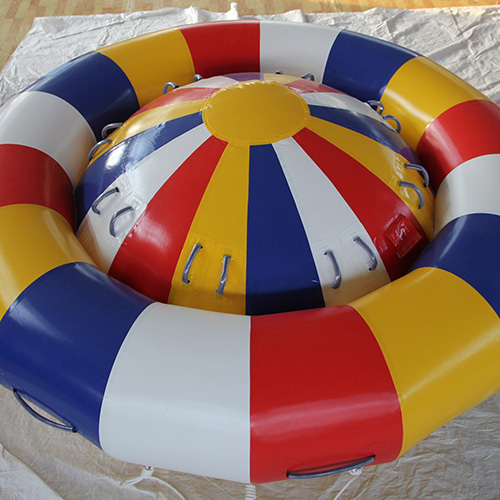 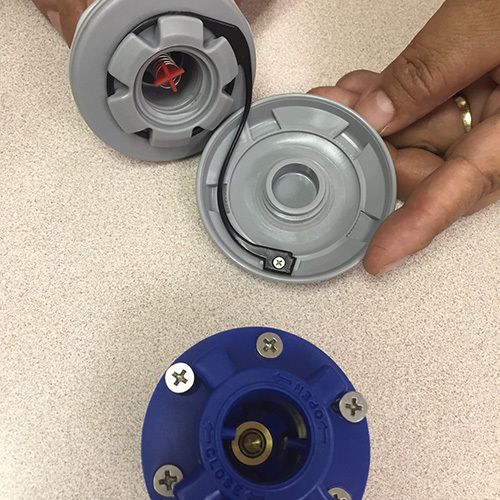 It has 5 chambers which inflate with one convenient valve. 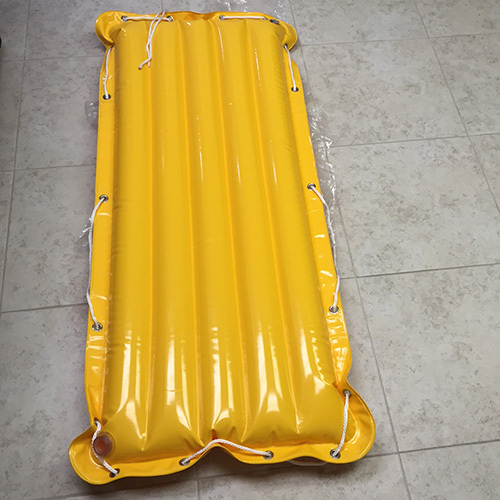 Be careful not to overinflate Surfrider because the sun will heat up the air inside the Surfrider. 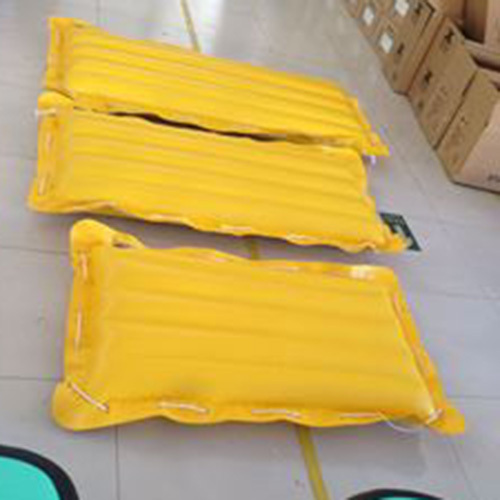 If Surfrider is overinflated could cause interior damage. 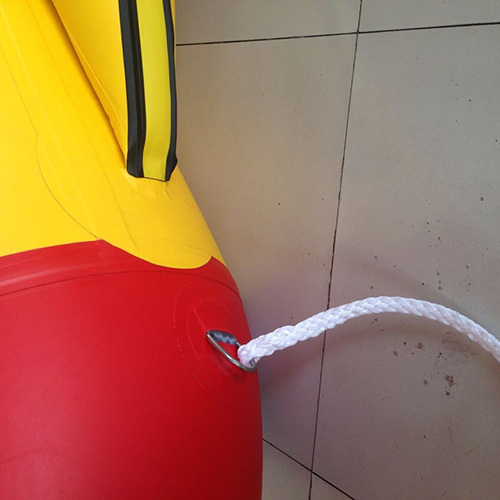 Proper inflation to start the day is to inflate only until you can pinch the corner with two fingers and have your fingers touch. 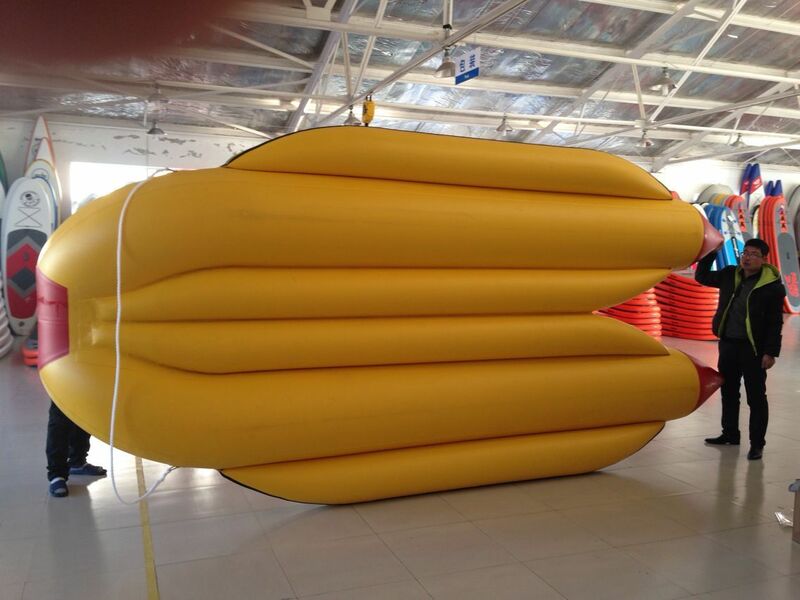 If your two fingers do not touch, then let a little air out until they do. 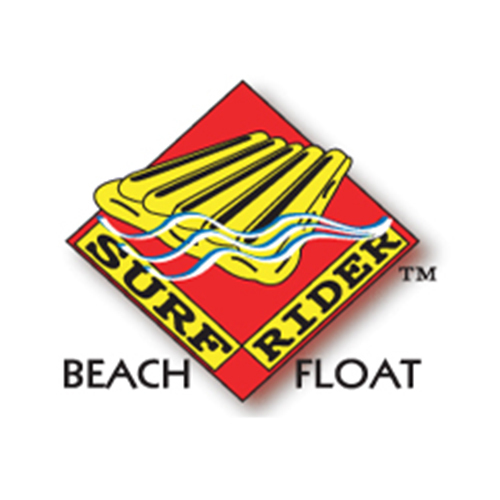 The sun will heat up the air until Surfrider is firm. 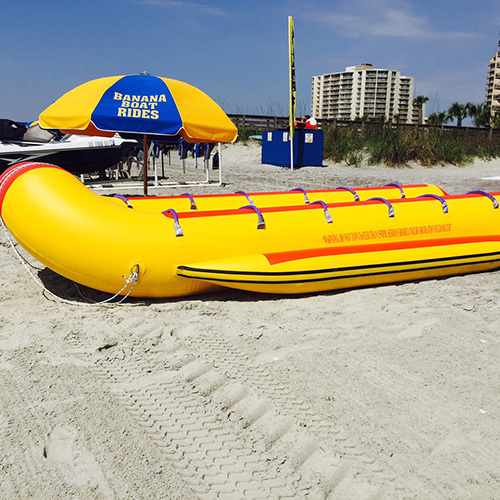 Surfrider is not to be used as a personal flotation device. 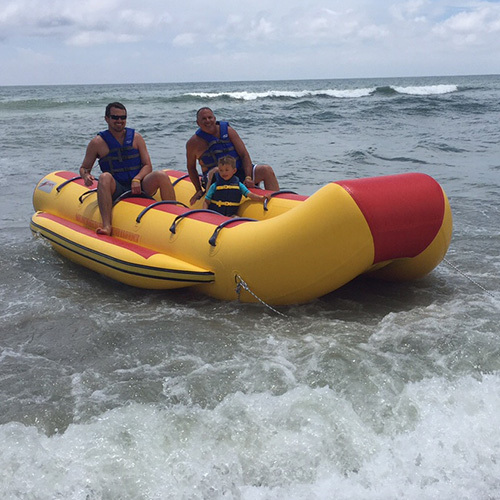 Always wear a life jacket when using Surfrider and stay away from dangerous currents near shore or drifting out to sea and undertows. 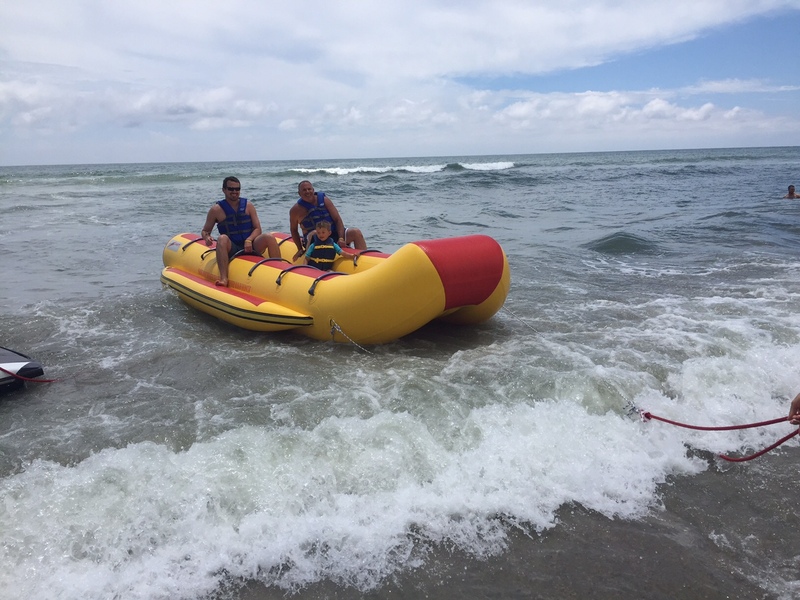 Stay away from rough breaking waves. 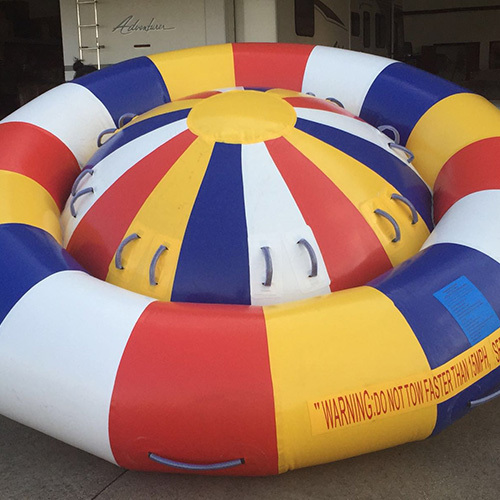 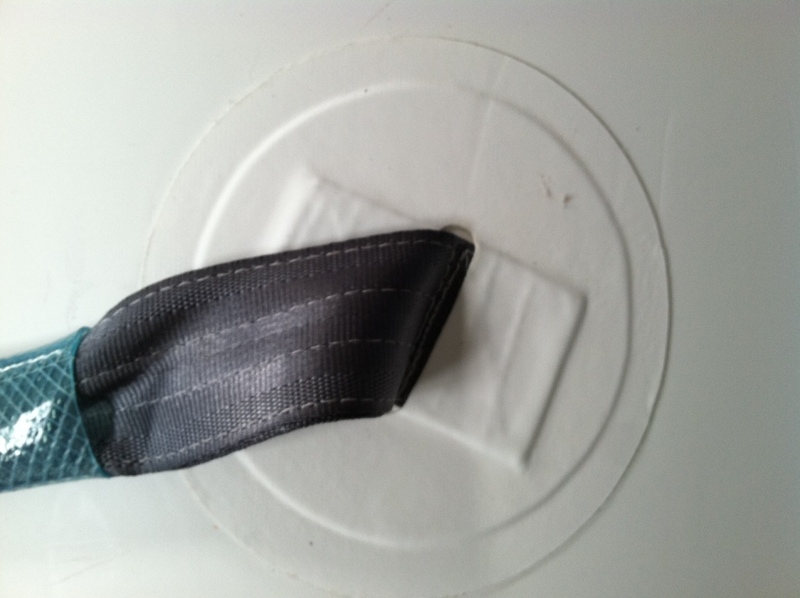 This product is not U.S. Coast Guard approved as a personal flotation device. 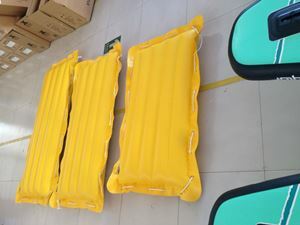 Surfrider can be dangerous if used improperly. 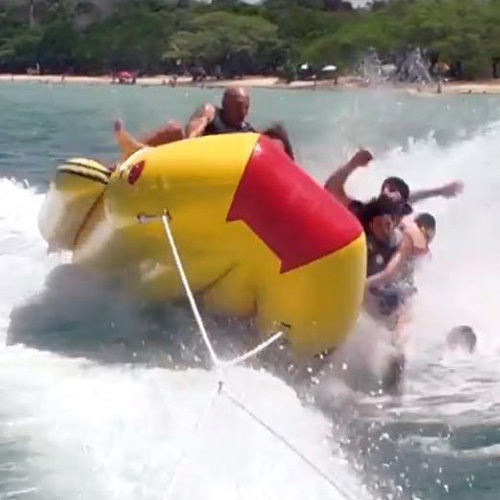 The possibility of serious injury or death exists. 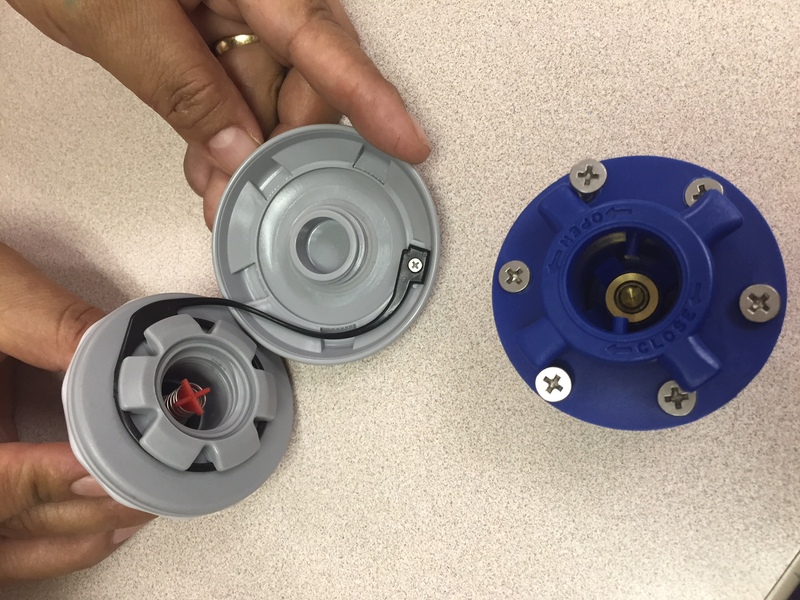 This risk increases significantly with equipment misuse/abuse. 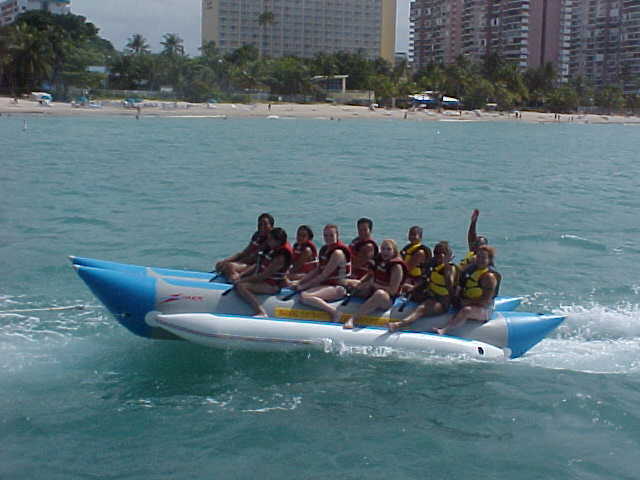 Surfrider is used entirely at the user's own risk and with a willingness to accept such risks.